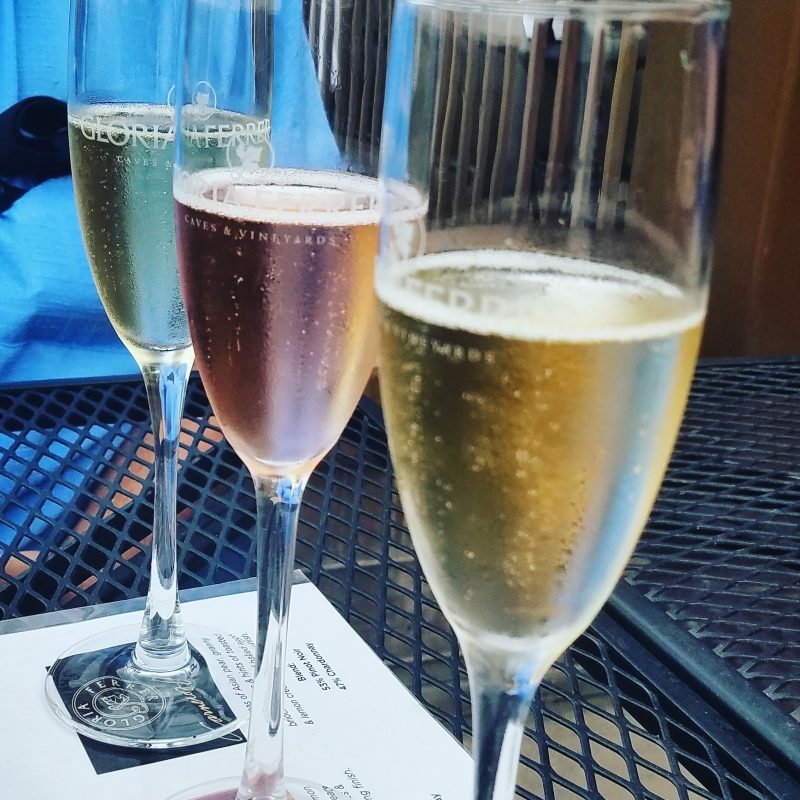 It’s the season for bubbles and this past October I was able to do an amazing tasting and pairing event with sparkling wines from Gloria Ferrer at the Wine Bloggers Conference in Walla Walla Washington. 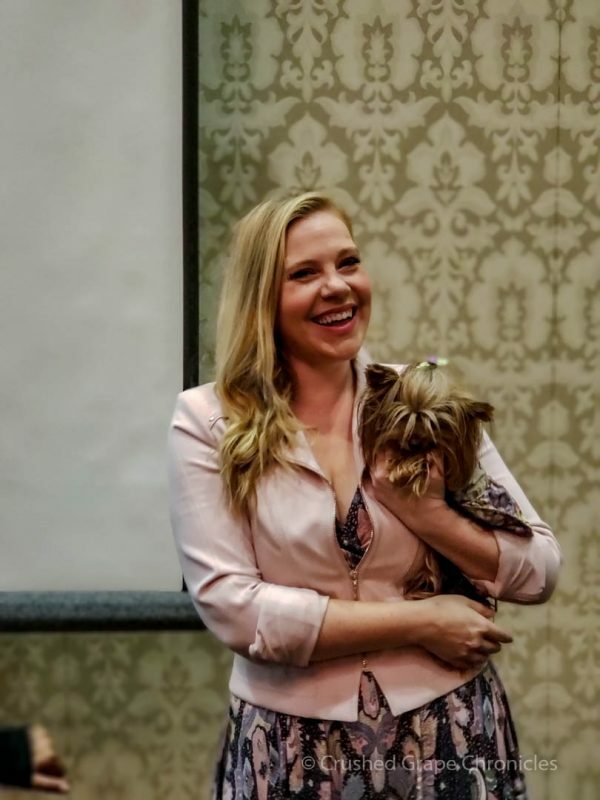 I met Sarah Tracey of The Lush Life the evening before her Bubbles and Bites Seminar at WBC18. At the dinner at Doubleback Winery, we finished with the hors d’ouervres in the winery and headed back into the beautiful tasting room to find a seat for dinner and as luck would have it, I ended up sitting next to Sarah. We had great conversation throughout the evening (we both fell in love with the AMAZING lobster bisque) and at the end of the evening she mentioned that she was hosting Wine Discovery Session “Gloria Ferrer Bubbles and Bites” which I had signed up for. Sarah has quite the history! She writes a column for Martha Stewart (you can check that out here) . She’s a Somm, a wine educator and is spectacular at putting on events. She loves to travel and loves bubbles! (my kinda girl!). 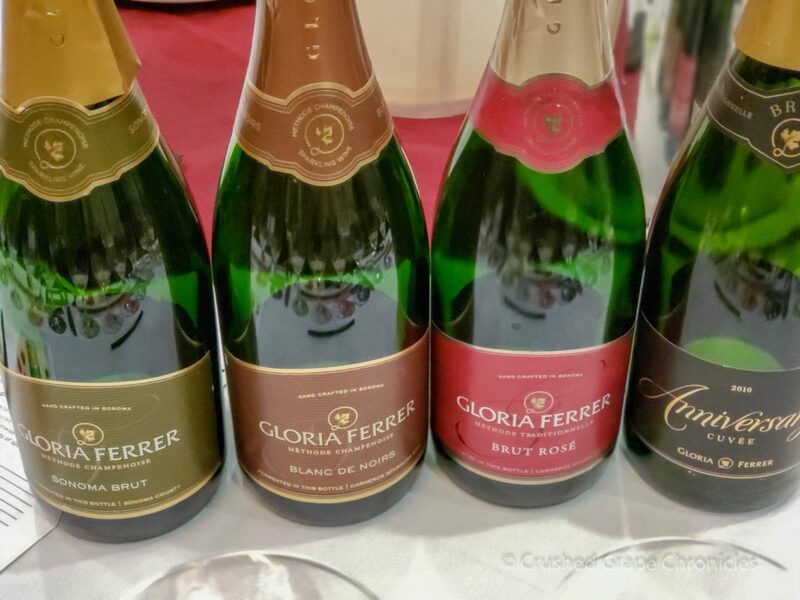 The wines of Gloria Ferrer, while always well received, particularly by the critics, have continued to improve over 30 growing seasons. The family legacy of uncompromising quality is passed down through generations. The Pinot Pedigree born of decades nurturing our Sonoma Carneros Estate vineyards. The patience-testing méthode champenoise process of aging and blending is paramount. It’s all coming together in the perfect blend of savor and celebrate. 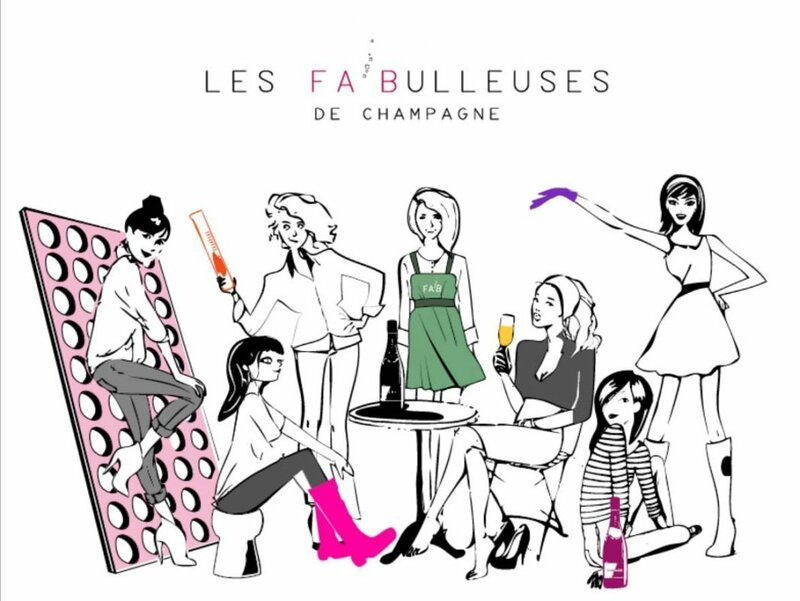 Find them on Facebook, Twitter at @GloriaFerrer, and Instagram. Wines and pairings for the Bubbles and Bites seminar. Within these strategies, she paired a Gloria Ferrer Sparkling wine with a small bite. 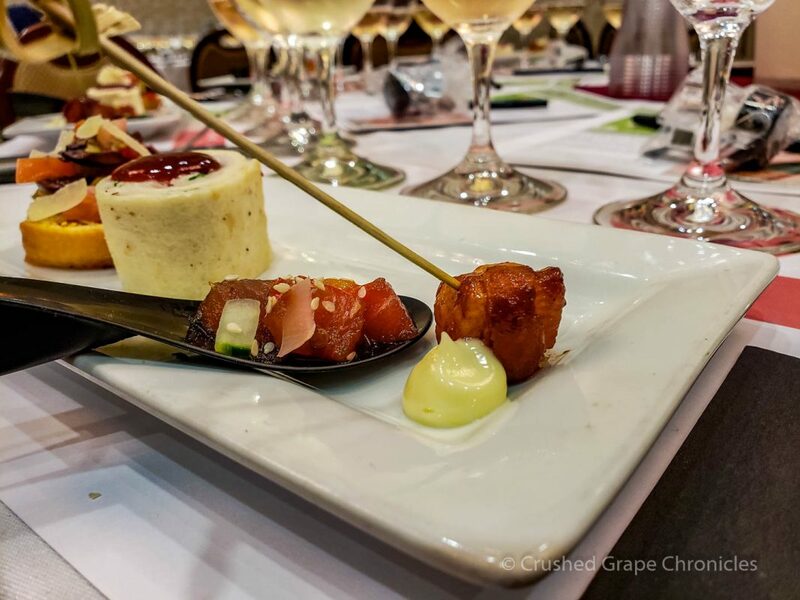 Let’s walk through these delicious pairings. While we do this, keep in mind the flavor profiles and how you can use these to create your own pairings. 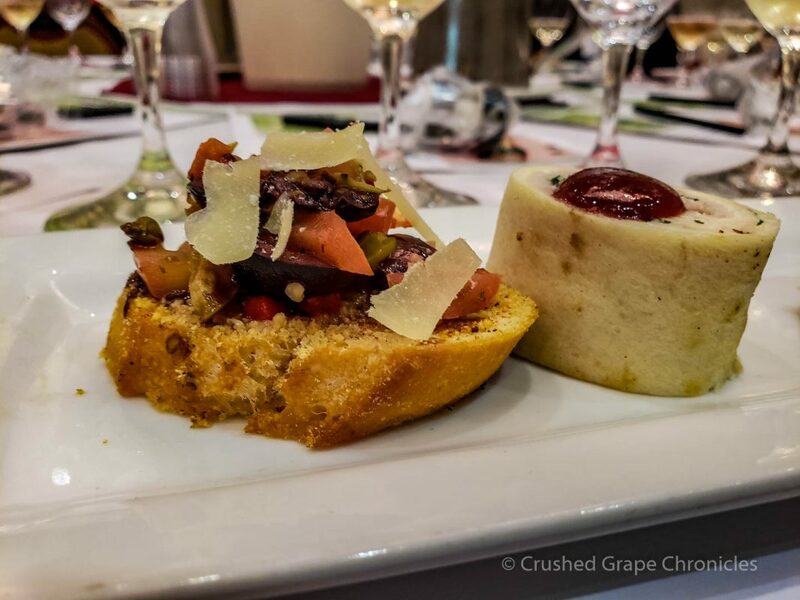 The pairing Sarah chose for this wine was a Classic Bruschetta with grated parmesan and a balsamic glaze. The acid in the tomatoes and the vinegar call for a high acid wine, a low acid wine would end up tasting flat. This pairing worked! Keep this in mind when pairing dishes with tomatoes, lemon or vinegar and reach for a wine with higher acid to keep the flavors bright in both the wine and the food. The second pairing strategy is one that I often employ. Flavor Matching pulls from the wine and matches the food (or vice versa). I often use this when I picking up a wine I have not tasted. I can read the tasting notes on the shelf talker (or that I have looked up) and pull from that for my pairing. Syrah’s often have blackberry notes and I will pair them with a dish that has blackberries or a blackberry sauce. Spice notes on a wine, can inform the direction of your seasoning. The wine for this pairing was the Gloria Ferrer Blanc de Noirs. This wine is 91.6% Pinot Noir and 8.4% Chardonnay. (I know, they are so exact with their percentages!). This wine is hand harvested and whole cluster pressed. They blend 5-7% Vin Gris (cold-soaked Pinot Noir juice) into the base wine. This Vin Gris with it’s skin contact gives the wine it’s bit of color. It is again stainless steel aged and a year and a half en tirage. Sarah paired this with a Turkey pinwheel with Cougar Gold, strawberry preserve, boursin & arugula. Okay…if you are asking, “What is Cougar Gold” you are not alone. When she announced this half the room murmured with smiles on their faces while the rest of us looked about bewildered. Okay here’s the deal. Cougar Gold is a cheese. A canned cheese developed in the 1940s at Washington State University, funded by the US Government. The idea of a canned cheese that would last indefinitely was appealing at this time. It’s a white cheddar. You can find it online at the WSU siteor on Amazon, where a 30 oz can will set you back $64.99. You can watch a quirky fun video called The Making of Cougar Gold Cheese on Vimeo. 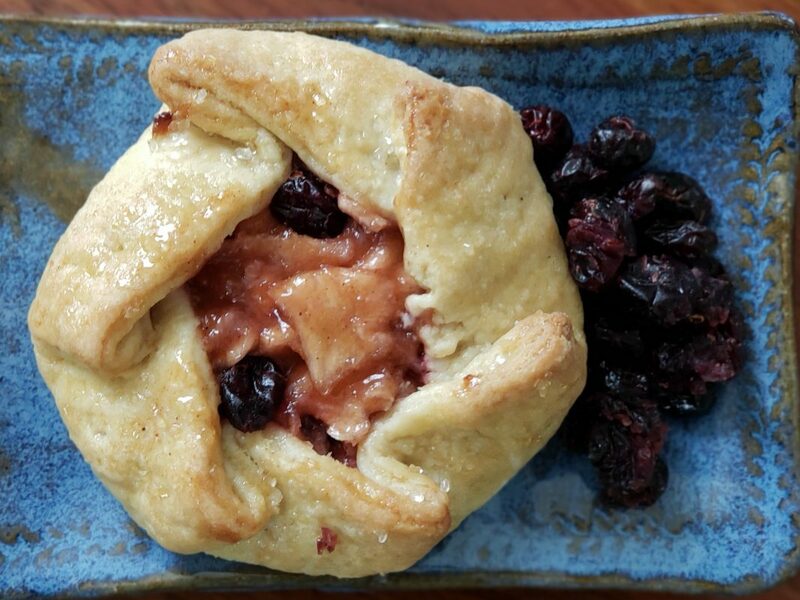 Okay, now that that is out of the way…so this pinwheel is turkey with Cougar Gold, which we now know is a white cheddar, plus boursin (a rich crumbly Gournay cheese made of cows milk), strawberry preserves and fresh arugula. The strawberry notes in the wine match with the strawberry preserves enhancing both the wine and the food. We head now to pairing the Gloria Ferrer Brut Rosé. This wine is 60% Pinot Noir and 40% Chardonnay. To get that lovely pink color they macerate half of the Pinot Noir on skin for 36-48 hours. This also developes the nose and flavor. This is aged en tirage for 2 years. This wine runs about $29. Wine, most especially sparkling wine, has a definite texture in your mouth. Sarah used this pairing to highlight this. The wine was the 2010 Anniversary Cuvée by Gloria Ferrer 67% Pinot Noir and 33% Chardonnay this wine only uses the first press of juice. It ferments in stainless steel and spends 5 years en tirage. The growing season for this vintage was very cool. This lovely bottle runs $45. The pairing here was elevated, as was the wine and was a bacon wrapped scallop with meyer lemon aioli. The creamy texture of the scallop and the creamy texture of the wine are gorgeous together in your mouth. Then you add the fat and salt of the bacon…yep…pretty heavenly. These 4 strategies for pairing wines, work with sparkling as well as still wines and you can use them beyond that, with beers and spirits and even with creating a menu or a dish. I encourage you to drink bubbles often. They are not all the same! And put them in a wine glass, not a flute, you will be able to enjoy the aromas in the wine even better. Bubbles are joyful and these bubbles we discussed are affordable. Don’t just hoard your bubbles for an “Occassion”, life is short, make Thursday an Occassion! Thanks to Gloria Ferrer for sponsoring this seminar and to Sarah Tracey for such an interesting seminar. And of course thanks to the Wine Bloggers Conference (newly rechristened the Wine Media Conference) for making this all possible! A couple of quick disclaimers. 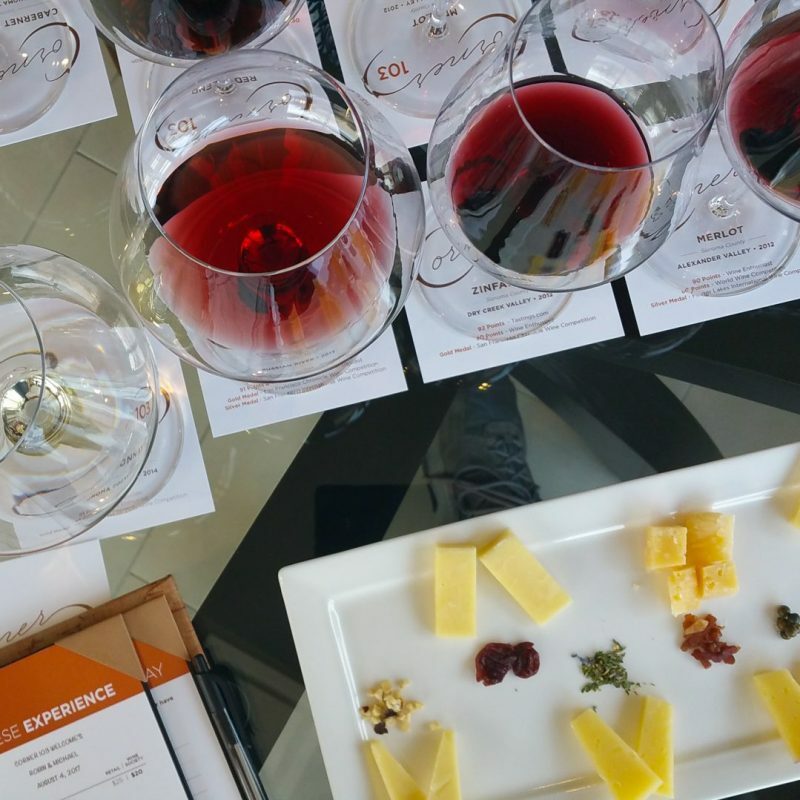 I went to the Wine Bloggers Conference as a Citizen Blogger and this tasting was part of the conference. The conference is offered at an amazing rate for citizen bloggers to entice us to write about the different wineries and areas we visit. So…this great tasting and pairing, cost me next to nothing. BUT, I assure you that had it been crap, I would not have written about it. So there you have it. Second side note, I’ve written about Gloria Ferrer before and enjoy their wines on a regular basis as a paying wineclub member, so yeah, I like their wines. ‘Tis the season for a little celebrating and nothing gets a celebration started better than bubbles. Something about how the bubble sparkle in the glass, or how they tickle your nose when you head in for a sip. Bubbles are great for atmosphere, they set the mood. They are also perfect with those delicious salty, fatty treats we like to have around. From popcorn to caviar, they make a great match. 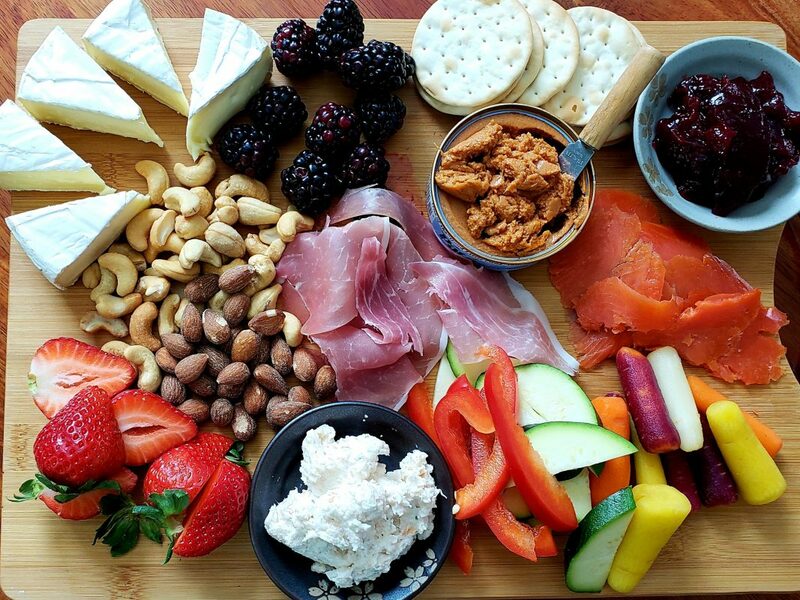 And beyond just appetizers or snacks, they are great with a meal. 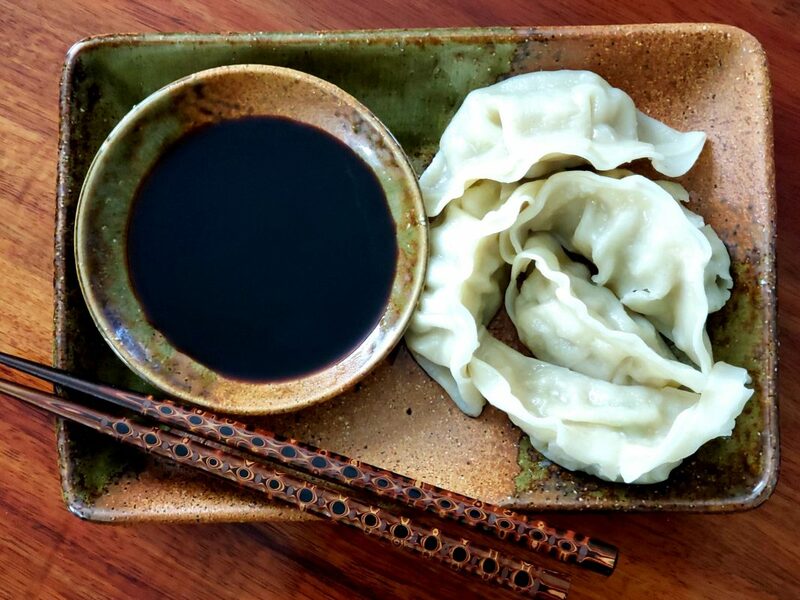 The acid and bubbles clean your palate between each bite, making every bite taste as good as the first. Now, bubbles come in many forms. There is Cava and Prosecco, sparkling wine, Champagne…and then there is Crémant. Crémant is the topic for the French #Winophiles this month and we will be taking to twitter on Saturday November 17th at 11 am EST to discuss Crémant. Join us by following the hashtag #Winophiles! The word Crémant means “Creamy”. 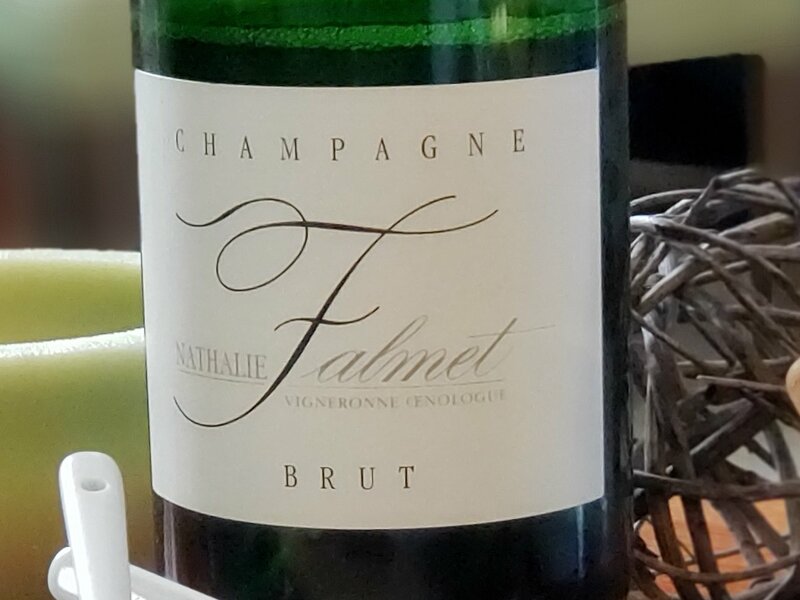 The term was originally used for a Champagne that was slightly less sparkly, the bubbles were creamier, with a little less pressure in the bottle. Some of the areas that you will find Crémant in France include: Crémant d’Alsace (Alsace), Crémant de Bourgogne (Burgundy), Crémant de Loire, Crémant de Limoux (Languedoc-Roussillon), Crémant de Bordeaux, Crémant du Jura, Crémant de Savoie and Crémant de Die. So with all these different grapes from different regions how does it affect how the wine tastes? Well, we rounded up a couple of Crémants and tasted through to see. With 3 Cremant d’Alsace, a Cremant de Loire and a Cremant de Bourgogne we had a little variety. Lucien Albrecht Crémant d’Alsace Brut Rosé. 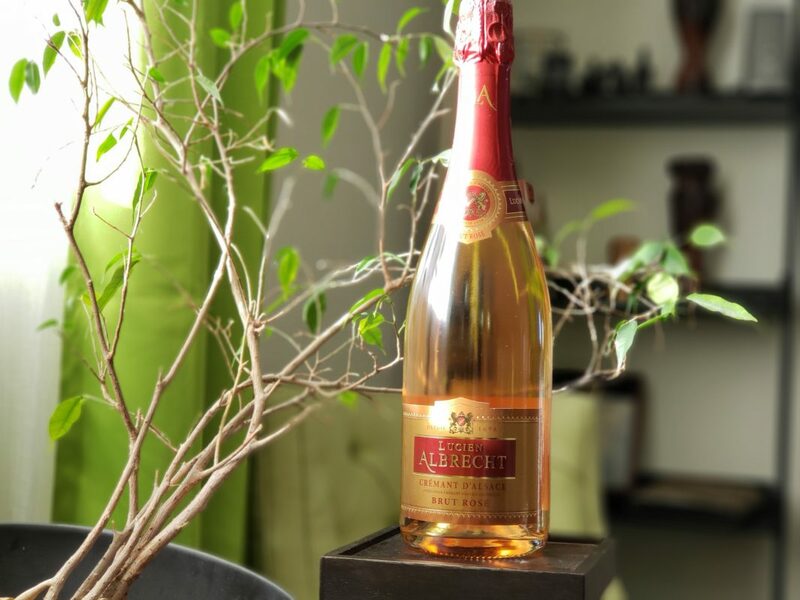 This wine from Lucien Albrecht is 100% Pinot Noir and comes from the house that was one of the three founding members of the Crémant d’Alsace AOC. Made from free run juice, this wine ages on the lees for 14-16 months. It sits at 12% alcohol and runs around $22. You can read more about this wine in a previous bit we did on Alsace. This is one of the oldest properties in Burgundy. You will notice the “depuis 1595” on the label. The estate is in the Mercurey appellation in Côte Chalonnaise. The 2013 Vintage was 80% Pinot Noir and 20% Gamay. (so while I didn’t celebrate Beaujolais day in the normal fashion…I did drink some Gamay!) It spends 24 months on the Lees. It too sits at 12% alcohol and runs around $18. This wine comes from a cooperative formed back in 1957 in the Loire. They are located in the Saumur appellation on the top of the hill in Saint-Cyr-en-Bourg. For this tasting we really wanted to look at the differences in the wines. These are rosés which means you get a bit more “grape” in them from the skin contact. The wines are from different regions and different grape varieties, so we expected there to be significant differences. When I poured the glasses, the color was the first thing that struck me. The Levert Frères Crémant de Bourgogne was significantly lighter in color than the other two, that light onion skin color. As we went on to taste, that appeared in the glass. This wine had less skin contact and as such was lighter with less distinguishable fruit on the nose or the palate. It did however seem to have a little more acid to it. It ended up being Michael’s favorite in the pairings. The other two wines, were influenced by their grapes. 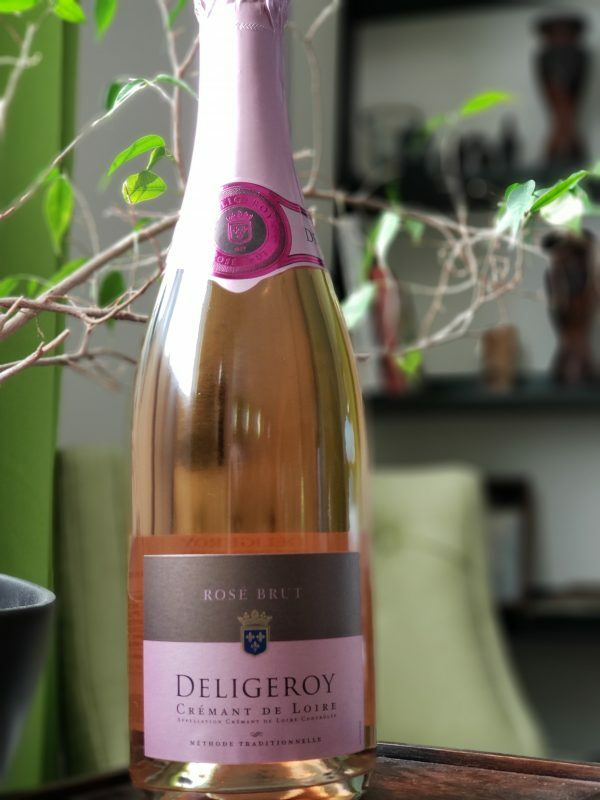 The Albrecht Crémant d’Alsace had red berry notes as did the Deligeroy Crémant de Loire, but the notes in the Deligeroy were a little deeper, the Cabernet Franc showing through. 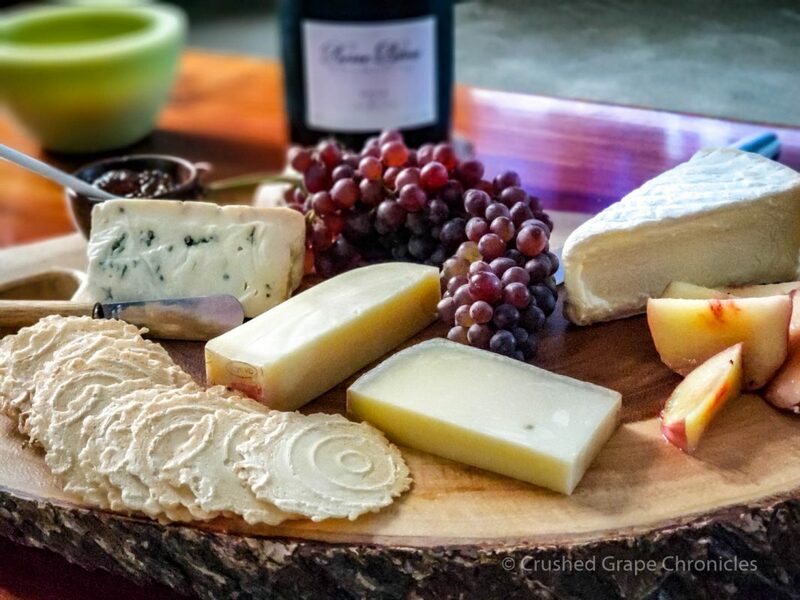 As the holiday season is here, we went with a crowd pleasing cheese platter to pair with. We are geeky and tend to one by one, taste and pair each element to see which pairing we like best. Below, you will see the results. 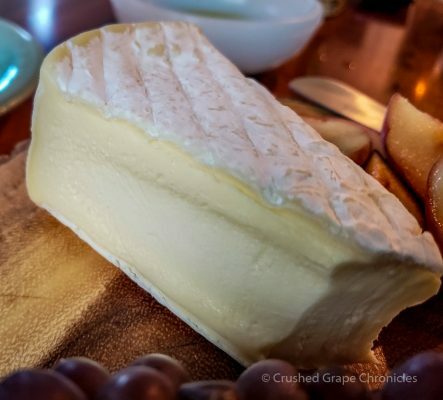 Brie: Any double or triple crème cheese is brilliant with crémant. I stacked a bit of the brie on a cracker and smeared a little of the cherry preserve on top and found this went really well with the Crémant d’Alsace and the Crémant de Loire with their berry notes. Lobster Paté: I had this lobster paté with Cognac in the cupboard and popped it out to try. 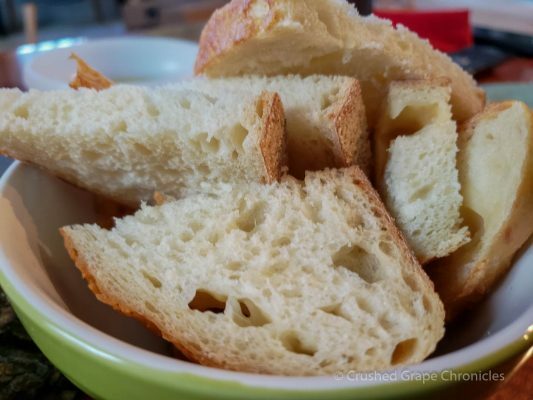 I found that the extra richness in the Crémant de Loire really stood up to the richness in the paté and made this an exceptional bite. Strawberries: The red berry notes in the Crémant d’Alsace really blossomed here. Proscuitto: This brought out the fruit in all the wines. Smoked salmon: This salmon was thicker cut and applewood smoked. The smoky flavor was a bit much for most of the wines, but it paired best with the Loire. I think had this been a slightly lighter salmon the pairing would have been better. Raw vegetables with dip: A suggestions from Wines of Alsace. This is also typical holiday fare with a veggie platter, so we thought this would be a good test! We went with a salmon dip and it was perfect with the wines. 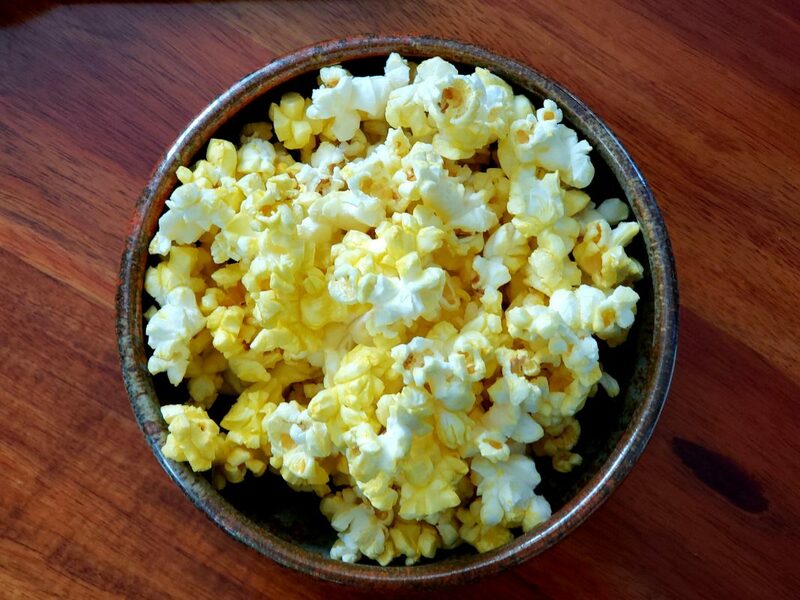 Popcorn: Bubbles and buttery popcorn are always a good bet. (potato chips too!) And they are great affordable snacks to keep everybody happy. This went well, but we also did a pairing with some white Crémant d’Alsace and found the popcorn went better there (more on that later). 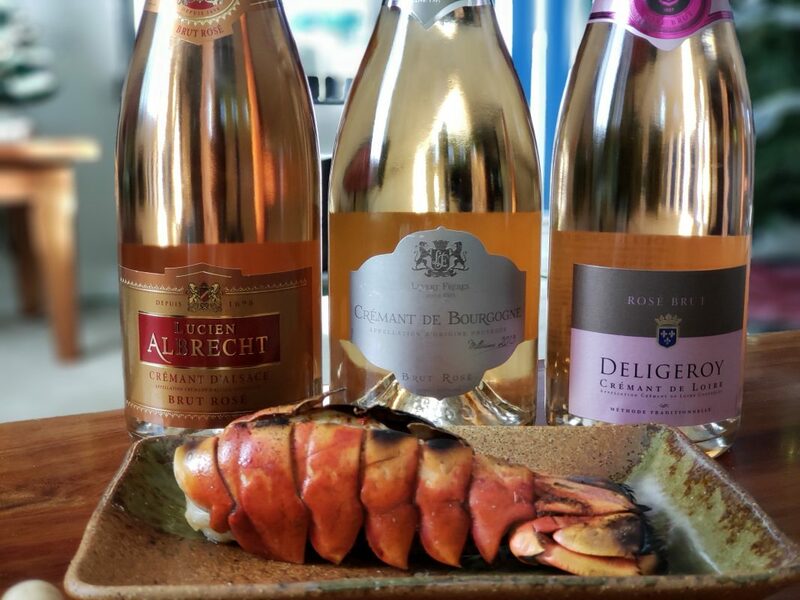 Lobster: Well…pink with pink and lobster with butter screams for bubbles. This is maybe a little more decadent than snacks for a holiday party, but…when the guests have gone, treat yourself. Here was where the lack of berry notes in the Crémant de Borgogne came in handy. This wine really sang with the lobster. The other wines were fine, but I found the berry notes a bit of a distraction. We finished out our evening with apple and cranberry tarts. I always like fruit deserts and the berry and bread notes in all three of the wines paired wonderfully here. Hopefully you now have some ideas for things to pair with sparkling wines this holiday, whether you are curled up for a quiet evening or feeding a crowd. And reach for a Crémant! 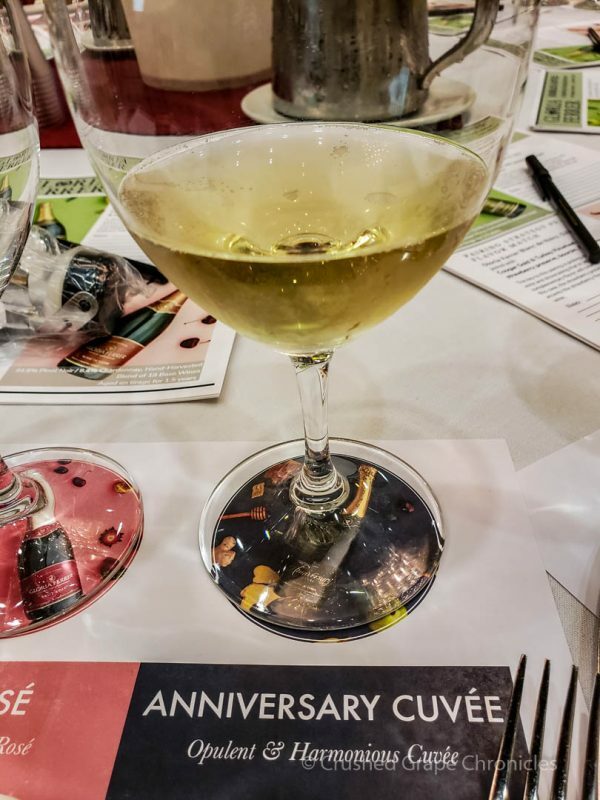 We also did a piece on the two beautiful Crémant d’Alsace white wines that we paired with a simple dinner the night before! 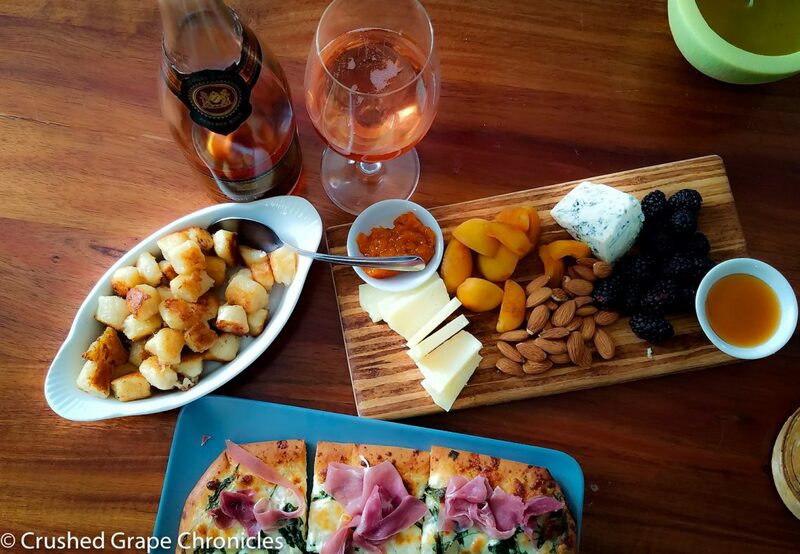 You can read up on Crémant d’Alsace perfect for a country picnic (maybe in the living room). So there is this wonderful group of wine writers who gather monthly to discuss French Wine. We pick a topic and we all taste and pair and write a piece and then we get up (early for me) on the 3rd Saturday of the month to discuss. 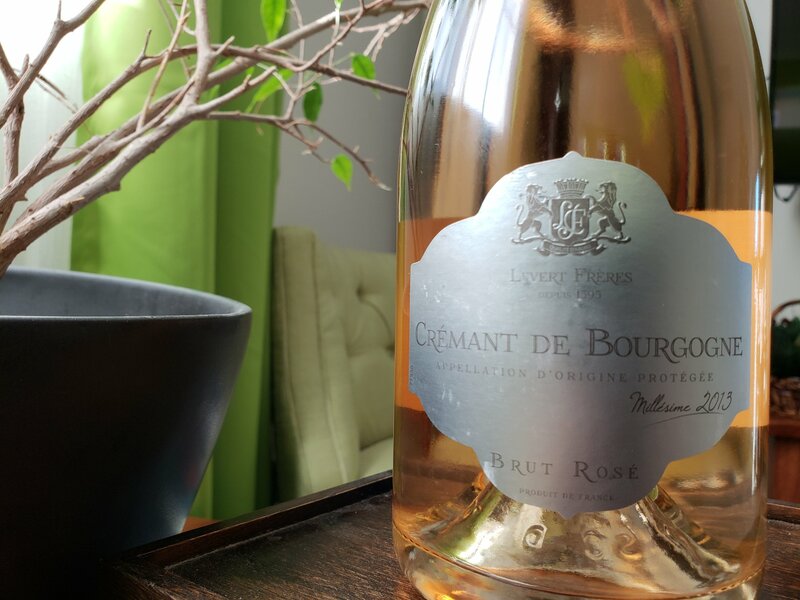 This month is it Crémant and here are all the amazing pieces that the French #Winophiles have written on the subject this month! Check them all out! 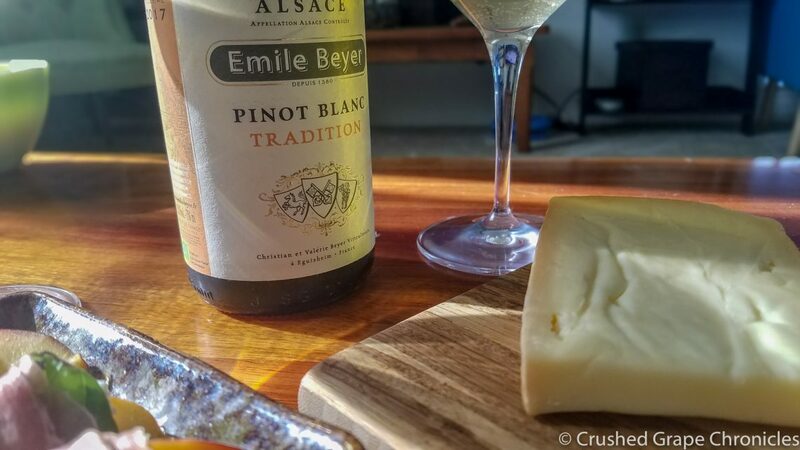 Okay, I know, it’s not really picnic season right now, at least not in North America, but sometimes you just want to curl up by the coffee table and have an indoor picnic and that’s just what we did with these two beautiful Crémant d’Alsace wines. 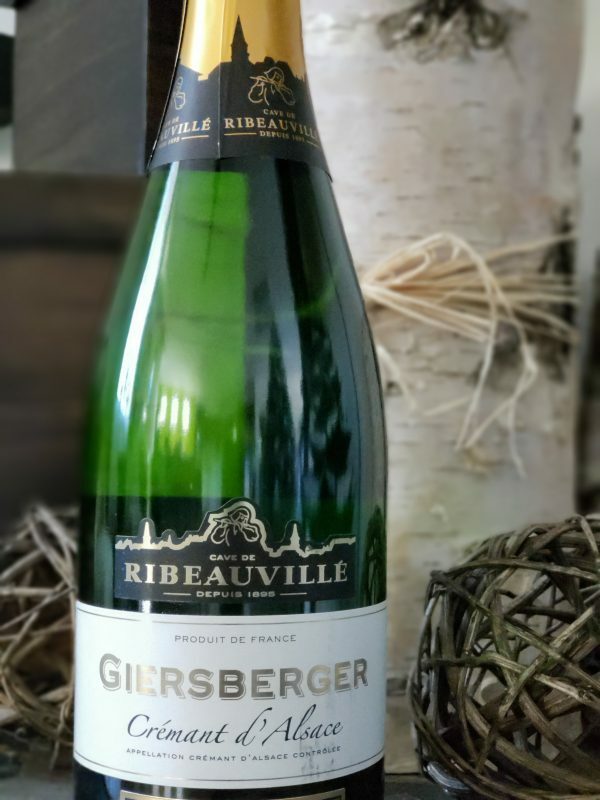 We were focusing on Crémant Rosé for our post with the French #Winophiles, but we had a couple of beautiful sparkling white Crémant d’Alsace wines come in that we thought you should be on the lookout! They would be perfect for holiday parties, or for a simple relaxing dinner after a day of holiday shopping. 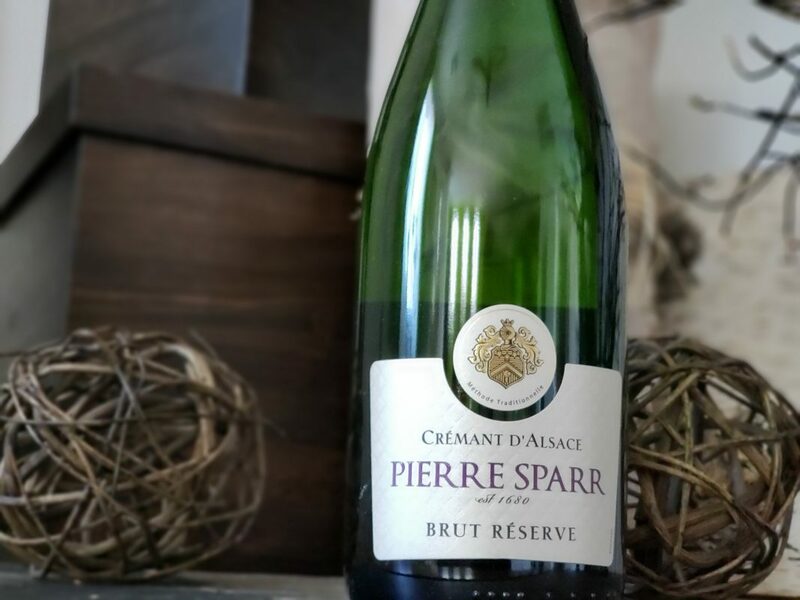 This Crémant comes from the heart of the Haut-Rhin where Maison Pierre Sparr has been making wine since 1680! 80% Pinot Blanc and 20% Auxerrois the wines are whole cluster pressed separately and undergo their first fermentation in stainless steel. They are then blended and head into secondary fermentation in bottle. They sit on the lees for 12 to 16 months. The soils here are granite, limestone, gneiss and chalky-clay. Alcohol is at 12.25% and you can find this wine for around $19 per bottle. The tasting notes on their site mentioned “dried mango and hints of nuts”, so I picked up dried mango and cashews to see if they would pair well. The oldest wine cooperative still operating in France, Cave de Ribeauville produces 72 different wines. Like the Pierre Sparr, this wine sits at 80/20 with Pinot Blanc and Pinot Auxerrois. It sits in bottle for at least 9 months. Alcohol sits at 12% and I had trouble finding the SRP for this particular wine. The closest I found was in euros at 8.95 which would make this a bargain at around $10.25 US. We asked for some suggestions and had some great options! Casey of Travelling Corkscrew mentioned popcorn, oysters and anything with soy. Martin Redmond of Enofylz Wine Blog suggested potato chips, popcorn and triple creme cheese. 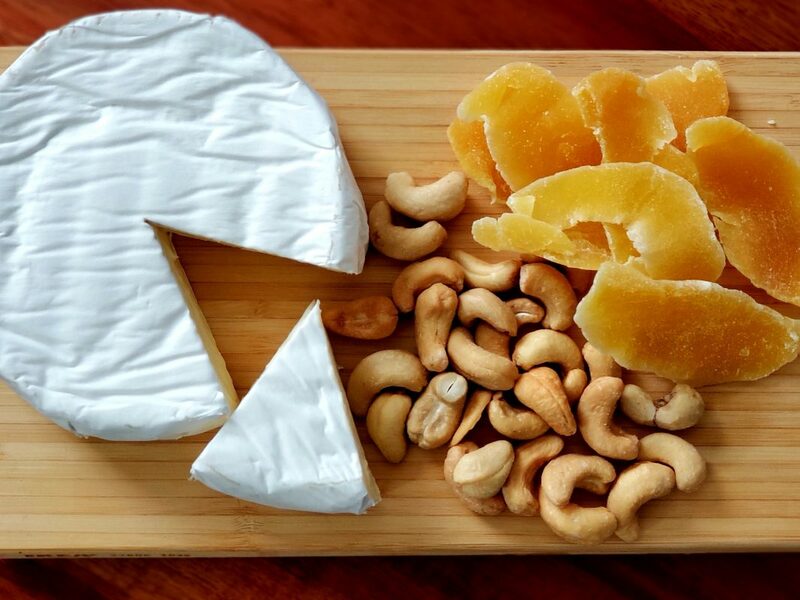 We opted to pair these with popcorn, pot stickers (another shout out to Casey for the pairing with soy inspiration), brie (we had to settle for double creme), dried mango, cashews and ….Fried Chicken! (that came from the Wines of Alsace site) The acid and bubbles with the fat are perfect! I recommend takeout. Life is busy enough during the holidays. Then park yourself on the floor at the coffee table, turn on your favorite Netflix and pop a bottle of Crémant d’Alsace! You can thank me later. Grower Champagne, Farmer Fizz it’s been called. Why do we want to drink it? Why would I prefer “a dirt to glass story” to go with my bubbly? Who wouldn’t? You are probably already aware that just because it is fizzy wine, doesn’t mean you can call it Champagne. That title is reserved for sparkling wines made in the Methode Champenois in the Champagne region of France. (for more on what makes Champagne different dive into our piece “Sparkling Wine or Champagne“. )In the US in California they labeled bubbly as Champagne for a bit, (something to do we us not ratifying the Treaty of Versailles, back in 1919. When we then signed the wine trade agreement with France in 2006, Korbel was grandfathered in to be allowed to use the name Champagne) and France put the kibosh on that. So to be called Champagne you must come from the Champagne Region in France. Now within that there are more distinctions and here is where “Grower Champagne” comes in. Most Champagnes come from large Champagne Houses or Maisons. These houses may have estate vineyards, but they also source from all over the region, pulling grapes from small growers. They then blend the juice and often blend in some previous vintages. The goal? To create a uniform wine NV (non vintage) that will have consistent flavor and quality from year to year. A noble pursuit! And many fine Champagnes come from these houses. The Champagne AOC is one of the largest in France covering 340,000 hectares with over 300 Villages. 80% of the wine coming out of this AOC is produced by Négociants and Coopératives. They can pull from anywhere in the AOC AND they can purchase not only grapes, but pressed juice or in some cases sur-lattes (that is pre-made sparkling wine). Picture the small winery, one that has maybe been in the family for generations, growing grapes and now, rather than selling those grapes to someone else to blend, they keep those grapes and make their own wine. This is a wine that speaks of their land, their soil and their style. We love this in wineries, don’t we? It’s tougher to do in Champagne, because the bubbly, well… the equipment is expensive and the process is time consuming. For those who don’t have the money to invest in the equipment you find Cooperatives, places where smaller vineyard owners can get together and make a Champagne from a village. These vineyards bring their grapes together and one winemaker will often make a cuvée. These are often vintage Champagnes. These are noted on the bottle with “CM” for Coopérative Manipulant. True Grower Champagne comes from a Vigneron. Someone who owns the land, farms the land, harvests the grapes and makes the wine. They are typically vintage Champagnes and the best part about this (IMHO) is that they taste different from year to year. As with good still wines, you are able to taste the terroir. It makes tasting much more exciting in my opinion. 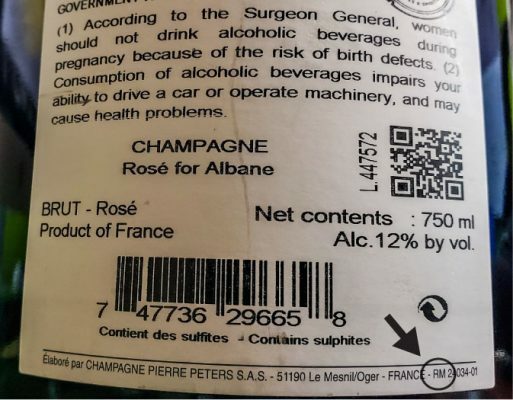 So a quick breakdown on the one set of codes that you will find in fine print on the Champagne Bottle that can help you determine the origin of your Champagne. These guys are the labeler/marketers. They buy a Champagne, label it and sell it. Kinda like ND’s, they just buy a wine and private label it with their brand. They may buy all or some of their grapes from others. Deal is that anything under 94% estate fruit puts you in this category. While big houses are typically in this class, it’s easy for others other to get lopped in also. These are the Co-ops we talked about above. This is a group of growers that work together to make a single wine or brand. Where do you find this on the label? Well, it varies, but typically it is in small print on the back label. Just because you are a grower, doesn’t necessarily mean that you are making “Vintage” Champagne. You can be a grower and still blend previous vintages and make a cuvée. And truth be told, if you want to sell a Vintage Champagne, there are a few more hoops for you to jump through regulation wise. Vintage Champagnes must spend a minimum of 3 years aging on the lees in bottle, where as non-vintage only need 15 months. Some Growers choose to put the vintage on the label. Others, while adhering to the standards for a vintage, prefer to focus on the vineyard and site. You will see this below with the Chartogne-Taillet I tasted. 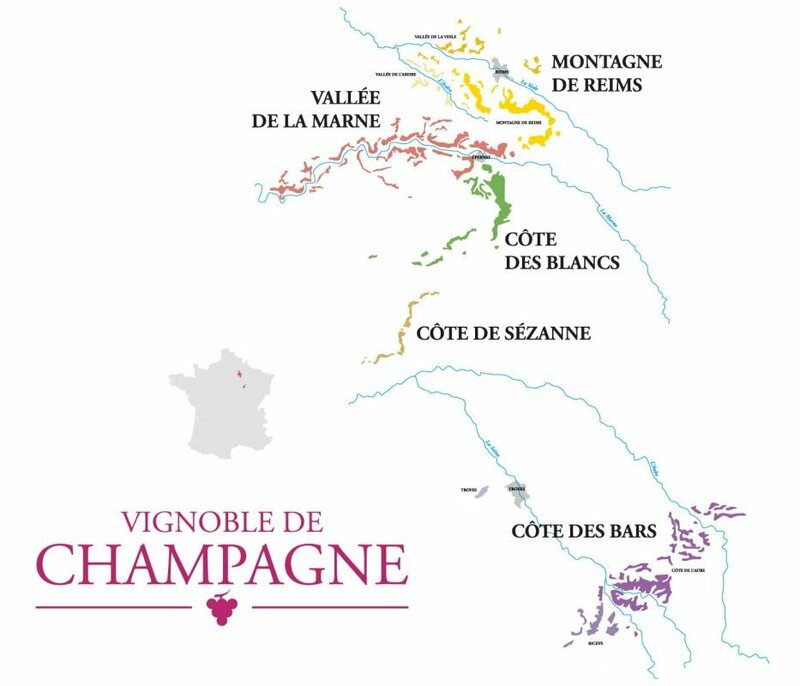 Within the Champagne AOC there are Montagne de Reims, Vallée de la Marne, Côte des Blancs, Côte de Sézanne and Côte des Bars. Overall, the Paris Basin is Jurassic sediment covered in Cretaceous Chalk and the Chalk is the key to the terroir in this region. Chalk can hold water, so the roots struggle to dig down up to 30 meters to tap into this moisture. The average precipitation in the Champagne region is just 26 inches each year, so this moisture stored in the soil is critical to keeping the vines going. Each of the regions within the Champagne AOC have slightly different soil breakdowns and each grow a slightly different mix of wine grapes. This region in the Northwest of Champagne has cretaceous chalk with clay and sand for soil. The breakdown for grapes in the region is 56% Pinot Noir, 28% Chardonnay and 16% Pinot Meunier. You might see village names on the label also. The Grand Cru Villages include: Ambonnay, Beaumont-sur-Vesle, Bouzy, Louvois, Mailly-Champagne, Puisieulx, Sillery, Verzenay and Verzy. Premier Cru Villages include: Bezzanes, Billy-la-Grand, Chamery, Chigny-les-Roses, Eceuil, Jouy les Reims, Les Mesneux, Ludes, Montebré, Pargny les Reims, Rilly-la-Montagne, Sacy,Taissy, Tauxières-Mutry, Trépail, Troi Puits, Vaudemanges, Villiers-Allernad, Villier-aux-Noeuds, Ville-Dommange and Villiers Marmery. Vineyards here face multiple directions (northeast, southeast, southwest and west). The tops of the hills have deposits of lignite that nourishes the chalk soils below. South West of Montagne de Reims along the Marne River you find the Vallée de la Marne region. Here Pinot Meunier is king, with 63% of the grapes grown. Pinot Noir comes in at 27% and Chardonnay at 10%. The sub soil is Cretaceous chalk with a top soil mix of clay, flint, limestone, marl and sand. There are 2 Grand Cru Villages: Aÿ, and Tours-sur Marne. Premier Cru Villages include: Bisseuil, Champillon, Cumières, Dizy, Huatvillers, Mareuil-sur-Aÿ and Mutigny. The best vineayrds here face south. South of the Vallé de la Marne you find the Côte des Blancs. There is a reason for the name, 96% of the grapes grown here are Chardonnay with a mere 3% Pinot Noir and 1% Pinot Meunier. The soil here is Cretaceous Chalk. There is a bit of clay and sand, but really it is overwhelmingly chalk. Vineyards are typically east or southeast facing. Grand Cru Villages include: Avize, Chouilly, Cramant, le Mesnil-sur-Oger, Oger and Oiry. Premier Cru Villages include: Bergèrese-les-Vertus, Coligny, Cuis, Etréchy, Vertus, Villeneuve-Renneville and Voipreux. Step a little further south of Côte des Blancs and you find Côte des Sézzane. Like Côte des Blancs, it is mostly Chardonnay that is grown here. The vineyards here are about 64% Chardonnay and tend to face southeast which allows them to get a little riper than the grapes of the Côte des Blancs. The soils here are clay and clay silk with pockets of chalk. The furthest south you find The Aube or Côte des Bars. Here the grapes are primarily Pinot Noir (83%) and the soil is marl. Almost half of the PInot Noir grown in the Champagne AOC is grown in this region. While not as well known, this area has some of the prettiest country side. It includes the 3 communes that make up Les Riceys; Ricey-Bas, Ricey-Haut and Ricey-Haut-Rive. How does this all affect the flavor? For the most part you will notice the wines of Côtes des Sézzane and Côte de Bars are more aromatic and have less acidity. The wines of the Vallée de la Marne are unctuous and fruity (due to the pinot meunier) and the Côtes des Blancs are higher in acidity and racy. As I was researching I found that the big wine mega shops don’t typically have staff that will recognize the term “Grower Champagne”. I had a couple of less than pleasant phone and face to face conversations that left me frustrated. I reached out to the smaller wine shops that, sadly, are all the way on the other side of the valley from me (45 minute to an hour one way trip). Incredibly, I missed out on a tasting event with Jean-Remy Rapeneau, who’s family owns Chateau Bligny at Khoury’s. I found out about it too late to manage to go. I did also contact Valley Cheese and Wine in Henderson. They had over 20 different grower Champagnes in stock. We went to look and picked up one bottle and found that they were doing a Champagne Class. So…you will get to hear about that at the bottom of this piece. When in Vegas…my go to wine shops are Khoury’s and Valley Cheese and Wine. From our trek across the valley to Valley Cheese and Wine we picked up a bottle of Grower Champagne from Pierre Péters. This was their Rosé for Albane Brut NV. This comes through the Terry Thiese Estate Selection. This Champagne is from the Côte des Blancs region and within that Le Mesnil-sur-Oger. This is a 20 hectare vineyard, so around 50 acres and produces 14,000 cases annually. Soils here are Cretaceous Chalk and they grow 100% Chardonnay. They are known for their Blanc de Blancs. So…hmmm how do they make a rosé? Well, they moved into the rosé market in 2007 adding this “Rosé for Albane” which adds some saignée Pinot Meunier to Chardonnay. This wine is 60% Chardonnay and 40% Pinot Meunier. 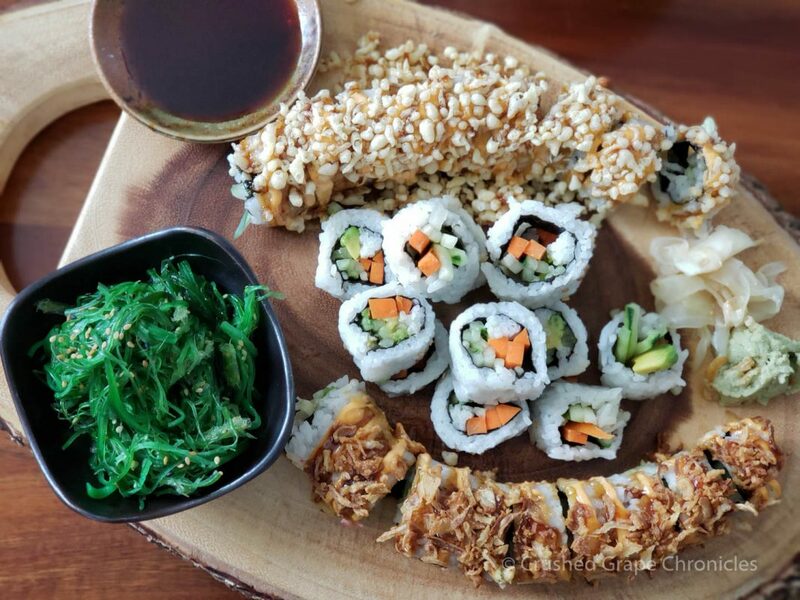 We paired this first with some takeout sushi, we were hungry and it was what was for lunch! And really, you can’t go wrong with sushi and Champagne. Rosé Champagne is great against melt in your mouth fish and soy. We always talk about salt and fat with Champagne (popcorn, potato chips, caviar & créme fraiche) you get that same fat from the fish and salt from the soy. And for me, the festive atmosphere a sushi platter creates goes great with bubbles. I did dive deeper into pairings and later we paired the Champagne with a selection of cheeses. We visited our friendly Murray’s Cheese counter and picked up a couple cheeses to pair. I was hoping to pair the buttery and nutty notes of this wine with the Champagne. It was okay, but I honestly liked the cheese better on it’s own. This is a raw cow’s milk cheese from the Emmental region of Switzerland. When you say swiss cheese, this is what you mean. Brie and Champagne. No brainer right? 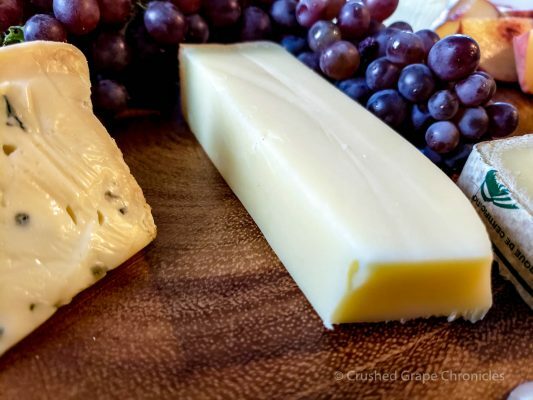 This cheese is double creme and is similar to Brie and leans towards buttery flavors. It paired as perfectly as expected. Alpine cheese is a great pairing for Champagne. We waffled between Comte and Gruyere and thought we were picking up the Gruyere. No worries, this cheese went very well. 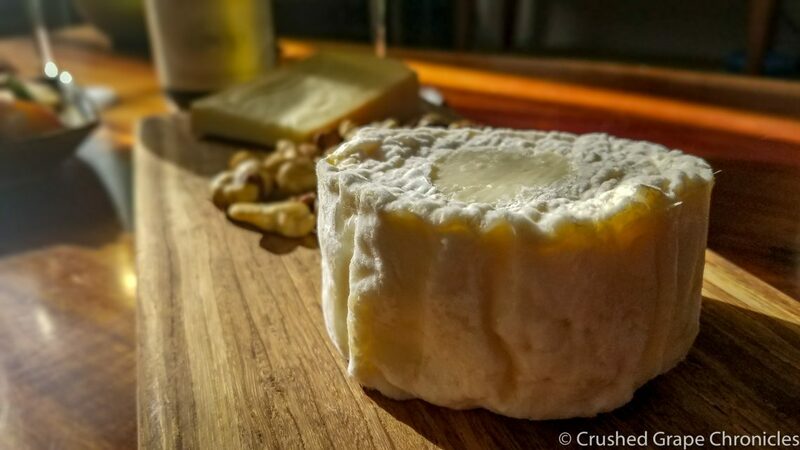 As firm as this cheese can be on it’s own, the Champagne makes it seem lighter in your mouth. This cheese is cut from 90 pound wheels from the France’s Jura. It is made from raw, mountain pasture fed cow milk. Typically I would have chosen this to go with a sweeter wine, but I wanted to see how it would do. Topped with a bit of honey, it was heaven. Without the honey, Meh. 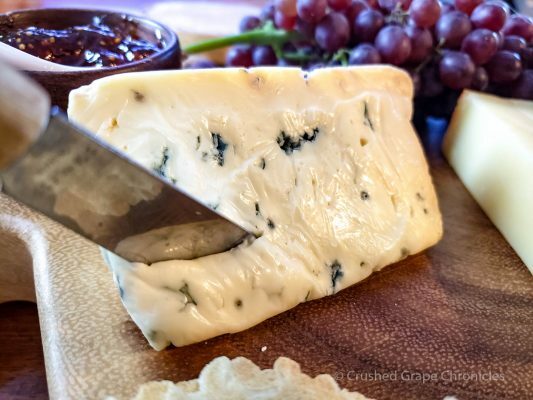 Made from pasteurized cows milk in Auvergne, this cheese is made from unpressed curds inoculated with a blue mold. They start a bit crumbly, but then after 4 months in cave you get a smoother softer blue with notes sweet cream and mushrooms. We garnished with champagne grapes. No they are not really the grapes that you make champagne from, but they are cute sweet little grapes that are tasty and look adorable on the cheese plate. That sweetness was a great offset to the savory cheeses. We also paired with a fresh cheese bread and quite honestly that was one of my favorite pairing. All the yeastiness was happy to play together in my mouth. Bread and Champagne….yeah, I could happily try to live on that. 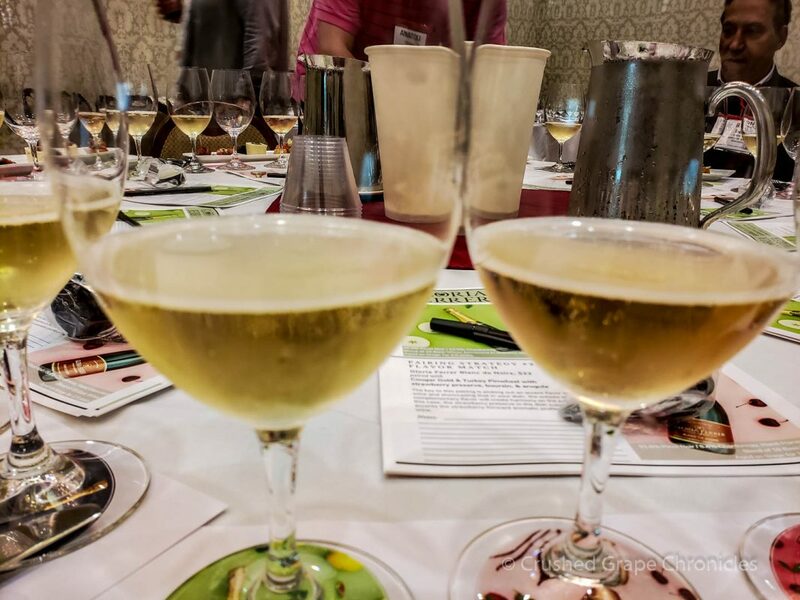 Now for a brief rundown of my Champagne Class at Valley Cheese and Wine. 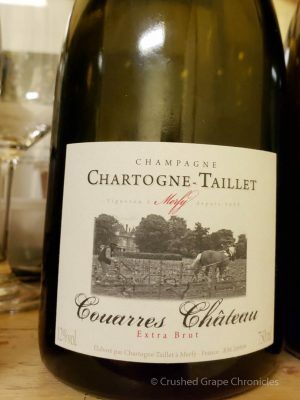 So I spent an evening around a table with a dozen or so people at, Valley Cheese and Wine, tasting through some Champagnes with Bob, who focus’ on the wine here. We were tasting through 6 Champagnes all but one were Grower Champagnes. The exquisite cheese counter at Valley Cheese and Wine. They did provide us pairings for the tasting (after all they are a cheese shop also and Kristin brings in an amazing array of cheeses) The platter of cheeses included Cremèux de Diteaux with truffle (a cow’s milk cheese from France), Clochette (goat’s milk cheese from France) and Regal de Bourgogne with raisins (cow’s milk from France). There were blueberries, strawberries, dried apricots, raspberries and bread, plus Jamon Serrano from Spain, Chorizo from Spain and Speck from Italy. 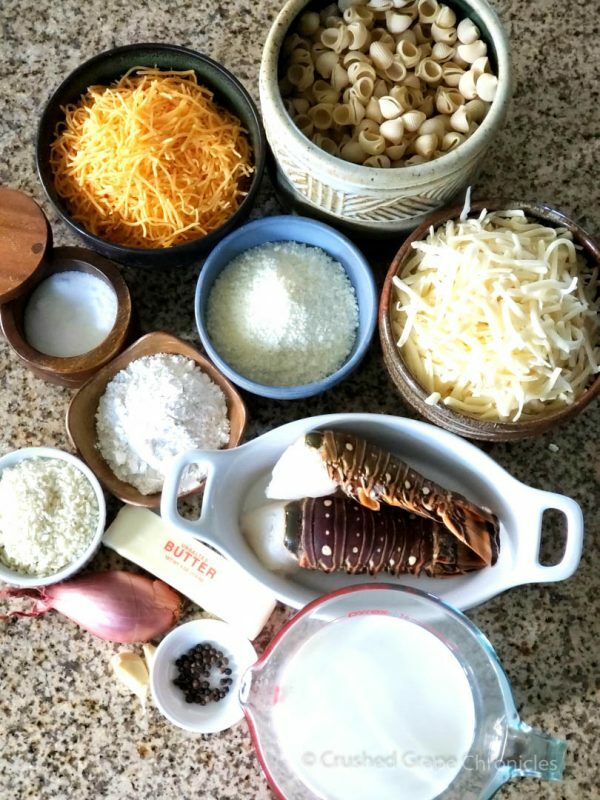 Later in the evening, hot fries and baked macaroni and cheese with crumb topping were served. The salt the fat the richness, was perfect for the Champagne to cut through. Run by a family team of mother Carol and her 3 sons Julien, Charles and Louis, this is a Champagne House, not a Grower Champagne. They produce about 4.5 million bottles annually. 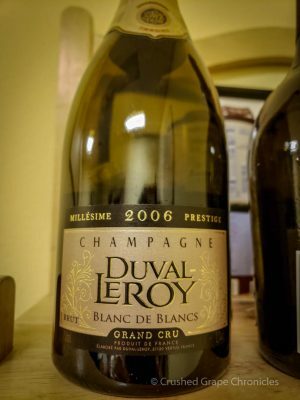 The Duval-Leroy Champagne house was formed in 1859 between two families; the Duval family of Vertus in the Côtes des Blancs and the Leroy family, merchants from Reims. It has been passed down father to son for 6 generations. Carol Duval-Leroy took over the company in 1991, when her husband unexpectedly passed at just 39 years of age. 100% Chardonnay, 2,000 cases produced. This is made from grapes from the Grand Cru Villages that include: Avize, Cramant, Chouilly, le Mesnil sur Oger and Oiry in the Côte des Blancs. This goes under malolactic ferementation to give it a smoothness and that bit of bready yeastiness on the nose. These wines age in chalk cellars for a minimum of 6 years. This wine ages on the lees for 6 years. This was a good Champagne, but it sat as our control. It was a bright Blanc de Blanc. Each of the wines we tasted after this were much more intense both in the nose and in flavor on the palate. Located in Vertus in the Côte des Blancs, this is a family farm. Champagne Doyard has 10 hectares of Chardonnay spread over Vertus, Le Mesnil-sur-Oger, Oger, Cramant and Avize. They also have 1 hectare of Pinot Noir in Vertus and Aÿ. The vineyards average 40 years in age. They can trace their family roots in Champagne to the 17th century. They farm biodynamically and the vineyards are worked by horse rather than tractor to keep the ground in the vineyards from compacting. “Clos” indicates wall, and this wine is made from a little walled vineyard behind the winery that was planted in 1956. It spent 4 years on the lees. This is a vintage champagne and it is 100% Chardonnay. I found this wine to be more fragrant than the first. There were fruits and florals on the nose and the flavors floated in my mouth and had a lovely length. Located in the Vallée de la Marne, Jean-Paul Hébrart took over the reins from his father in 1997. With 15.5 hectares of vineyard they produce 8,750 cases annually. Calculated in acres that is 37 acres, which is made up of 70 different parcels in 10 villages. They do 6 or 7 cuvées here. The soil here is chalk and they grow 75% Pinot Noir and 25% Chardonnay. Jean-Paul is experimenting with indigenous yeast and barrel fermentation. Everything here is organic and sustainable and they hand riddle the bottles. This wine is named for the vineyards that comprise this blend which sit on both the left and right sides of the Marne River. This wine is 50% chardonnay and 50% pinot noir, natural yeast, unfiltered and made in barrels. This wine is part of the Skurnik Portfolio. This aged 6 years on the lees and the pinot noir is old vine. As we went through the tasting I felt like the aromas in each wine became more intense. The nose on this wine is intense. It hit me with notes of apple cider, that type of sweetness, that is tangy on the nose. 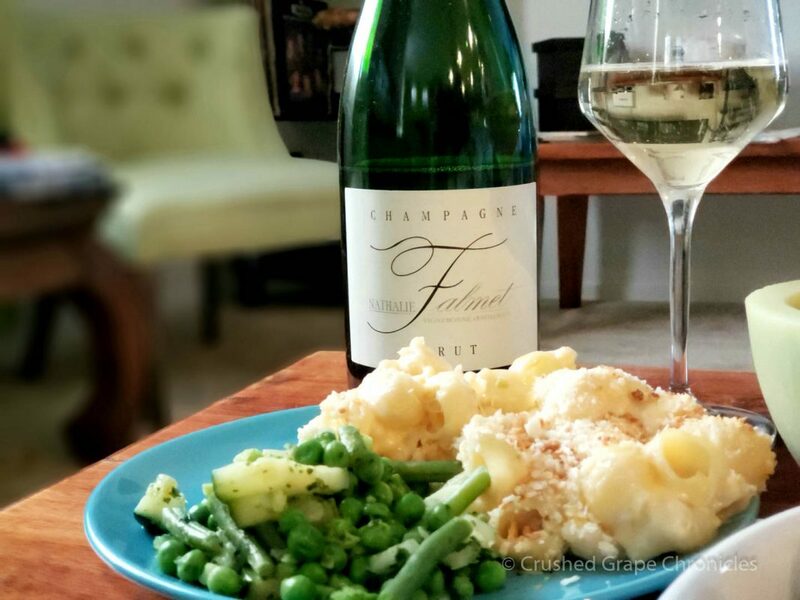 This wine was served with the baked macaroni and cheese with a crumb topping. From the Montagne de Reims region. This winery has 11.5 hectares of vineyards and produces 7,500 cases of wine annually. They grow 40% chardonnay, 38% pinot noir, 20% pinot meunier and 2% arbanne. They are located in the village of Merfy and have been growing wine there for over 500 years. Alexandre Chartogne now runs things and is delving into biodynamics. He uses stainless steel, neutral barrique and concrete eggs and allows for natural malolactic fermentation. Another from the Skurnik Portfolio, you can find more information here. The vines in this vineyard go deep to look for water, some digging down as much as 65 feet. They are also ungrafted vines (which is risky for phylloxera, an aphid which in the early 1900’s took out over 70% of the vines in France. Since then most French vines are grafted to American root stock which those little aphids evidently don’t like to eat). They believe that the ungrafted vines pull more terroir and varietal character into the wines. 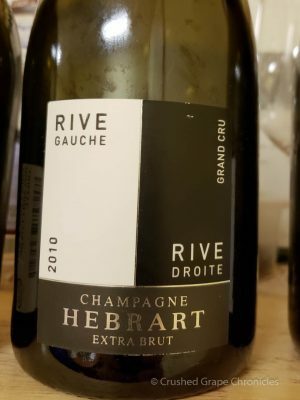 We tasted 2 wines from this producer, which were made from a single vintage, but they chose not to label them as vintage Champagnes, but rather to focus on the single vineyards each came from. This wine is made from grapes from the 2012 vintage, but they chose not to label it by vintage. The first vintage of this wine was produced in 2010. It is 100% Pinot Meunier. This wine was fragrant and unctuous. I got an herbal-bramble note lightly on the nose. This wine felt a little more wild to me. 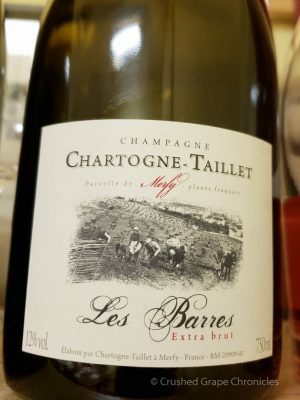 I had not had a 100% Pinot Meunier Champagne before, and it was exotic to me and I liked it! They make a Couarres Champagne also, but this is the Couarres Château Champagne, a distinction that indicates the specific vineyard. This is a single parcel wine with vines planted in 1987. This wine is 100% Pinot Noir. It was a lovely wine, but quite honestly, I was so enamoured by the Les Barres…. Located in the Vallée de la Marne in Cumières the Champagne Geoffroy vineyards span 14 hectares (just over 34 acres) and they produce 10,400 cases anually. Soils here are calcareous, sandstone and clay. The family has been rooted in Cumières since the 17th century, but it was in the 1950’s when Roger and Julienne Geoffroy decided to start making their own wine. 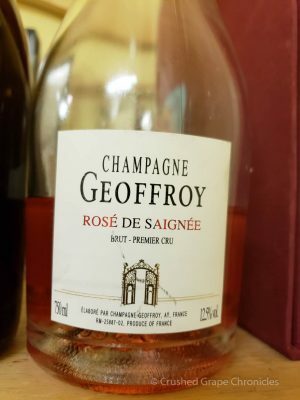 René Geoffroy took the reins when his father passes all to soon and together with his wine Bernadette they continued the brand. Today, Jean Baptiste Geoffroy runs the estate and they have moved the winemaking facilities to Aÿ. The vineyards are made up of 35 plots of 24% Chardonnay, 34% Pinot Meunier and 42% Pinot Noir. The Rosé de Saignée Brut is hand harvested and sorted and they avoid malolactic fermentation. This wine is 100% Pinot Noir and you get that Pinot funk the minute you dip your nose in the glass. This is a Saignée, and we have talked about this in terms of rosé before, where a winemaker will bleed off some of the juice of a red wine to intensify the flavors and then use this bled off juice to make a rosé. In this case they let the juice sit on the skins for about 4 hrs to get this vivid color and intensity and then bled off all of the juice to use to make this Champagne. It spends 3 years on lees. As Bob talked about the winemakers, most of whom he has met. He talked about what a small community they are and how they help each other out. 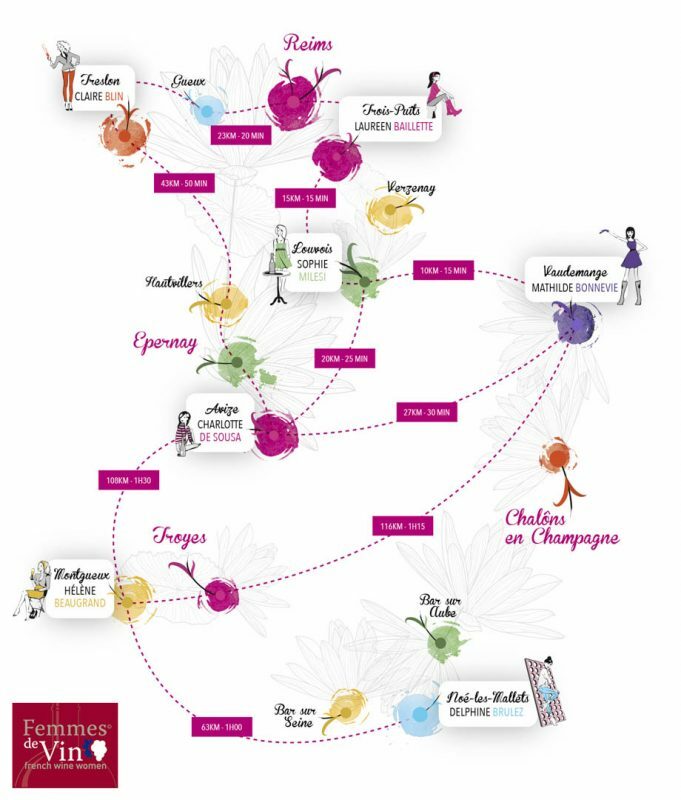 The Pinot Meunier that is used in the Pierre Péters Rosé that we started with comes from either Geoffroy or Hébrart. These growers all know each other and work together, sharing knowledge. 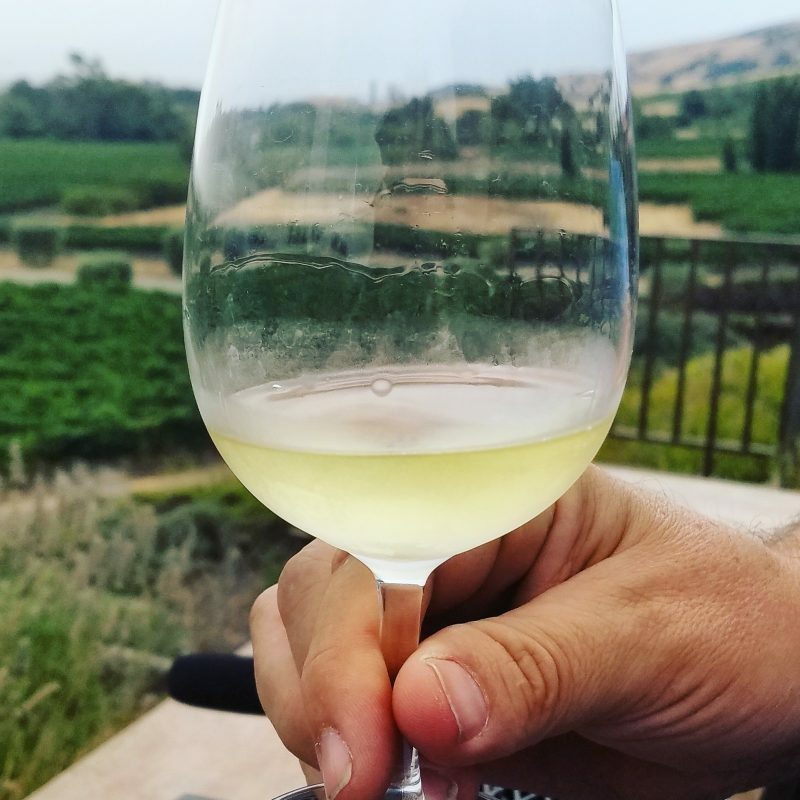 It was heartwarming to know that the type of wine community that we have seen in Oregon and Santa Barbara, winemakers working together and supporting each other, exists across the pond. And I mentioned hand riddling, horses plowing fields, organic and sustainable farming and really all of these producers are doing that. Most in fact are gravity flow in their winemaking. They differ in sites, and in styles, but overall growing philosophies are similar. Now if you are heading out to buy a bottle of Grower Champagne, be aware that these wines are not cheap. They run from $85 to $175 retail and there are many in the shop that run $200-$300 each. 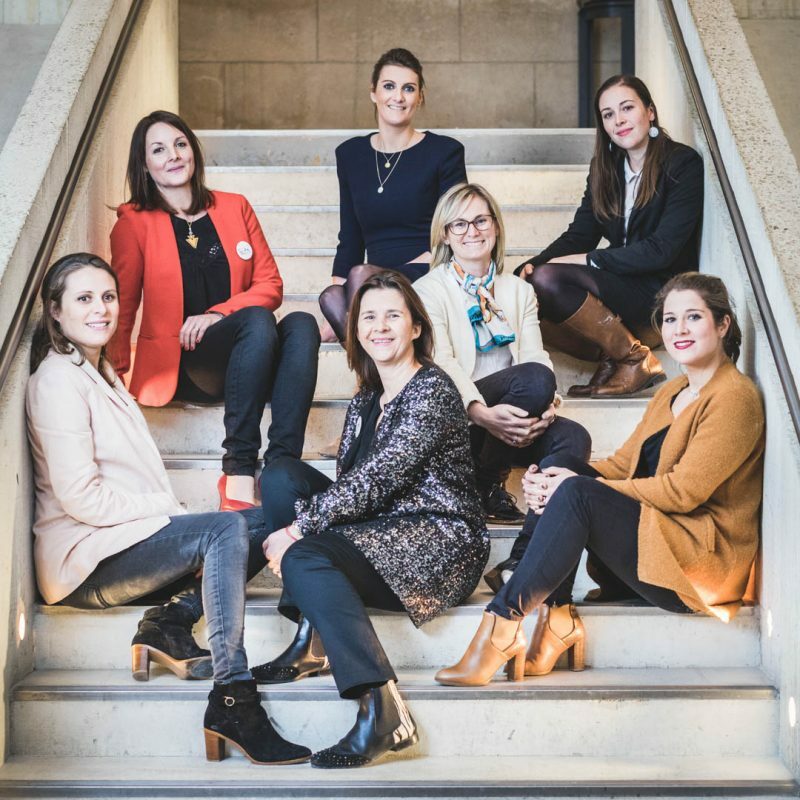 You can find Grower Champagnes that are less expensive, and you may find a great deal, but keep in mind, that Grower Champagne is all the rage these days, and many people are jumping into the market without proper experience. Do a tasting if you can, before settling on splurging on a bottle. We are lucky enough to get to associate with some wonderful people in the French # Winophiles group and this month we all dove into Grower Champagne. So if this has wet your whistle, you can dive into more great information and pairings for Grower Champagne. And…join us on Twitter on Saturday Morning 11 am EST or 8 am PST! Just follow #Winophiles to join in the conversation! And it’s Saturday morning, pop a bottle of Grower Champagne while you join us! Here are the links to all the other great articles the #winophiles have out there on the subject! We will be continuing our journey through Oregon’s Willamette Valley and the winemakers we met there and…next month with the French #Winophiles we will be diving into Cahors! What comes to mind with you think of “Pinot”? Do you think of a ruby-red pinot noir from Burgundy or a rich deep pinot from Sonoma? Is it the pale straw of a pinot grigio from Italy? Whatever color variation of this grape you thought of, you probably were not thinking of Alsace when you thought of it. I’m here to tell you why you should, because #AlsaceRocks. First lets talk about pinot. We begin with pinot noir, a grape with a thin skin that can be notoriously fickle. It has tight bunches (that are shaped like pine cones, hence the name) that are prone to rot. 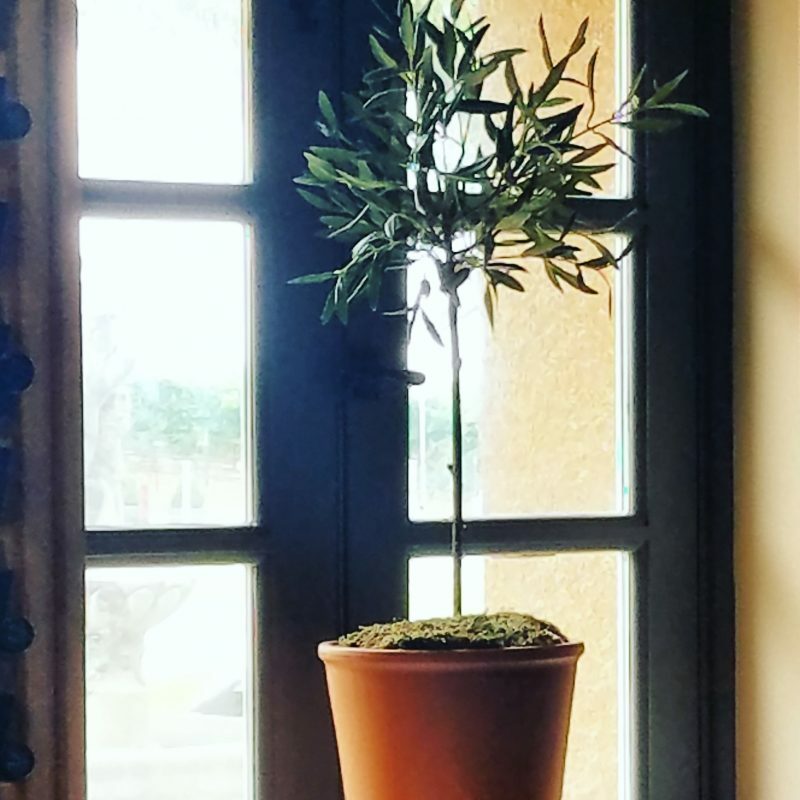 It wants lots of sun, but doesn’t want to be too hot. Luckily, the Cistercian monks in Burgundy found their penance in the hard work of coddling this grape to it’s greatness. From here we get the mutations: pinot blanc and pinot gris. Simply enough, pinot blanc is a white grape mutation and pinot gris is a “grey” grape. While not truly grey, pinot gris sits in the in between hue ranging from bluish gray to pinkish brown. Of course pinot gris is the French term for this grape, in Italy they call it pinot grigio. 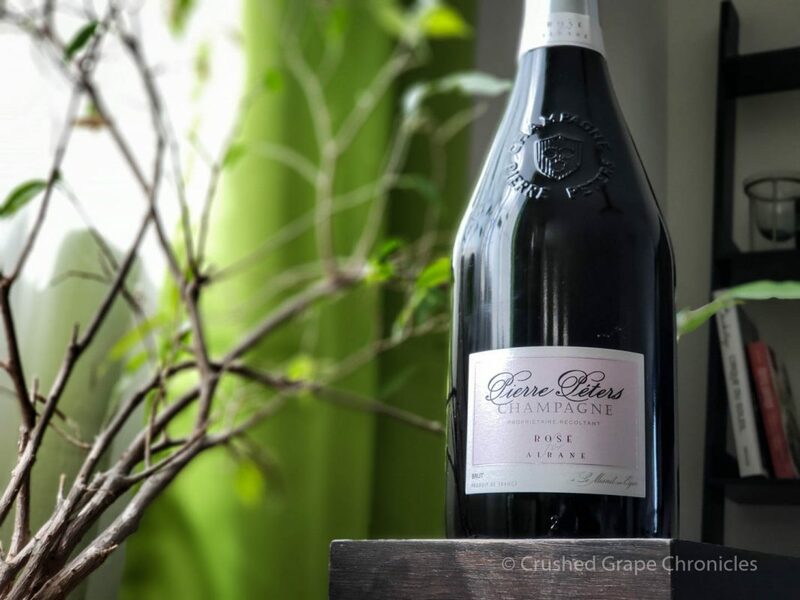 Beyond this we get Crémant d’Alsace, a sparkling wine that can be made from any of the pinots, (and upon occasion some “not pinots” like chardonnay) but all Crémant d’Alsace Rosé must be made from pinot noir, in the method traditionelle. This region is perfect for these wines as they thrive in the dry climate created by the Vosges Mountains. 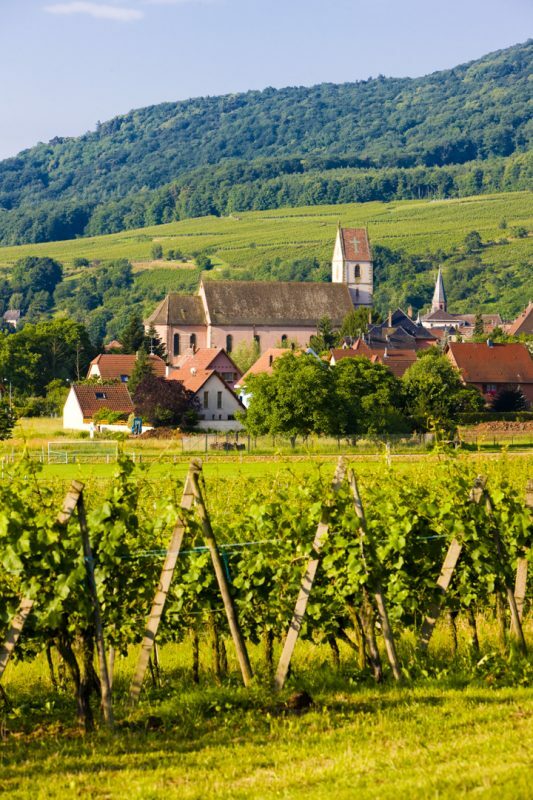 Alsace is a thin strip on the North eastern edge of France. This area has gone back and forth between Germany and France for centuries and the style of houses and names of towns attest to that fact. It’s a fairytale land with charming villages with half-timbered buildings, dotted with flower boxes. 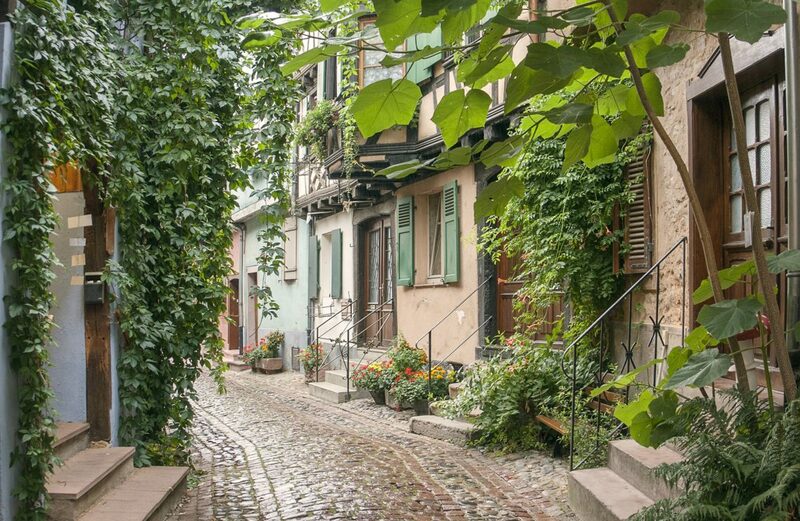 You can explore these delightful towns on the oldest wine route in France, that travels 106 miles from Marlenheim to Thann, stopping to taste the wines and the food as you explore this beautiful region. Then there is the soil. We did say #AlsaceRocks right? This area at the foot of the Vosges Mountains is a patchwork of soils. You find granite, and sandstone, limestone, schist and volcanic soils. Once, fifty million years ago, the Black Forest and the Vosges were a single mountain range, pushed up by the plates. When this collapsed it formed the Rhine River. 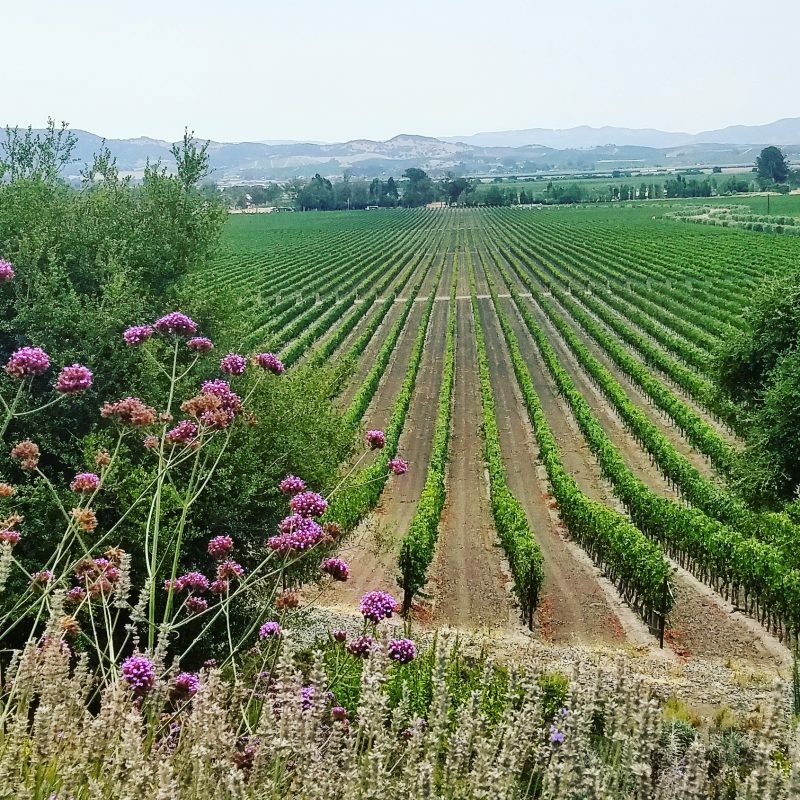 All that shifting around will geologically mix up some soil, and hence you get all these varied pockets of soil that add fascinating diversity to the vineyards. Now lets dive into the hues of pinots. @DrinkAlsace was kind enough to provide us a variety of pinots to taste through. (All opinions are my own) We begin with a 2017 Pinot Blanc from Emile Beyer, followed by a 2012 Pinot Gris from Dopff & Irion, on to a 2015 Leon Beyer Pinot Noir and finishing with a Crémant d’Alscace Rosé from Domaine Zinck. All but one of these wines come from the village of Eguisheim. The Pinot Gris is the exception coming from Riquewirh. I searched for cheeses to pair with this wine and went off to look for a Saint-Nectaire and a Chaource. Chaource is a named for the village of Chaource in France. It is a very soft ripened cow’s milk cheese. This cheese is soft and buttery. My Murray’s guy found me a domestic equivalent that did not disappoint. Murray’s Delice is a lovely soft ripened cheese that really and truly melted in your mouth. It went nicely with the wine. Saint-Nectaire is a Tomme style cheese again from cow’s milk. It is a semi soft washed rind cheese. It specifically comes from the Auvergne region of France and is made from the mild of cows that feed in rich volcanic pastures. It matures 6-8 weeks on rye straw mats, which causes a pungent smell. My Murray’s guy pointed me toward a Springbrook Vermont Artisan Cheese which was similar to an Alpine raclette. This gave us a different texture to compare with the Delice. Michael found it too pungent, but I enjoyed it. I had envied a fellow blogger his grilled peaches the other day, and planned on making some myself. I got running behind on dinner and instead sliced my peach and plopped a little goat cheese on it, a leaf of basil and wrapped it in prosciutto. This was definitely the right decision, both time wise and pairing wise. The fresh peach was still a little firm and with the goat cheese was really nice with the wine, picking up on those unripe stone fruit notes. It was also cool and easy to eat. I suggest these bites for all summer!. I knew the minute I saw the suggestion of an egg dish with this wine, that I would go that direction. I looked through quiche recipes and then settled on the simplicity of a Frittata. This wine loves spring vegetables so a spring green salad would go along side. I quick pickled some small golden beets and radishes in honey and white wine vinegar to add to the top with some pine nuts. The frittata I filled with broccoli, peas and green beans that I quickly blanched, then I sautéed golden beets, radishes and zucchini and let them develop a little crunch. I added a cup of ricotta to add a creamy cheese to the mix that would not be too heavy. Red onions were sautéed before dropping in the egg mixture. And it cooked to perfection in my rod iron skillet. René Dopff took over Dopff & Irion in 1945 as he joined forces with the Widow Madame Irion, taking over the Château de Riquewirh. The Château was built in 1549 by the Princes of Württemberg who ruled this area for 5 centuries. This wine is 100% Pinot Gris with soil in marl, limestone, gypsum, clay and sandstone. This cuveé comes from 200 selected vine-growers. It is stored on lees for 4 weeks before maturing in tank for four months. Like the Pinot Blanc it sits at 13% alcohol. $21. Dopff & Irion suggestioned “Pair with oriental and exotic cuisine like prawns with Thai Sauce, chicken curry or cottage cheese with pepper. “Cottage cheese with pepper? It seemed strange to me, but I was definitely going to try this! Other suggestions included mushrooms and cream sauces, triple crème cheeses, green beans, and tikka masala. So our pairings included a triple crème cheese with mushrooms, almonds, hazelnuts, apricots, apricot compote, cottage cheese with pepper, green beans, mushroom risotto, tikka masala, chicken in a thai curry sauce and fettuccine with chicken and a crème sauce. It gave a wide variety of styles of food to pair with. This wine was full and warm on the palate with baked apples and warm apricots. It was lush with a viognier like quality. Golden in color it opened into white flowers and the stones of stone fruit. It spiked the flavor in the hazelnuts, blended nicely with the cottage cheese and pepper and brightened the spice in the Tikka Masala without adding heat. With the mushrooms it leaned into the depth of forest floor. My favorite bite was the triple crème with mushrooms with the apricot compote. This was glorious in my mouth. This wine was exceptional. So much depth! While I enjoyed all the wines, this was my favorite. This wine is one of the oldest Alsatian family owned estates. Founded in 1580 this winery is now run by Marc Beyer and his son, who along with a team of 21 others farm 173 acres. The soils are limestone and clay with grapes from vines that are 25 to 30 years old. This wine was fermented in glass-lined concrete tanks. It sits at 13%. $28. This wine is light with warm berries and bright exotic spice. The nose reminded me of a savory strawberry tart with warm strawberries and rosemary and thyme. I found this wine to be much more interesting when paired with food, than on it’s own. Paul Zinck created the winery in 1964, it is now run by his son Philippe and Philippe’s wife Pascale. This winery is also located in Eguisheim, with vineyards with soils of silk, chalk with clay-silt and volcanic ash. The color on this wine is rich and warm as it also is on the palate. Both of these wines we paired with a cheese and meat platter. We pulled up a variety of cheeses including a local cheddar from Utah coated in Earl Grey as well as prosciutto and sopresso, pistachios, pine nuts, sliced apples, apricots and salt and pepper popcorn. Crémant d’Alsace from Domaine Zinck and a Leon Beyer Pinot Noir paired with cheese, fruit, charcuterie and salt and pepper popcorn. These two wines were lovely to enjoy on an afternoon with the pinot noir going nicely with the Earl Grey cheddar, the sopresso and the salt and pepper popcorn most especially. The crémant went well with everything and had a great depth of flavor. All of these wines were exceptional values and provided flavors that were not quite “typical” for the varieties. And remember I mentioned the hues? 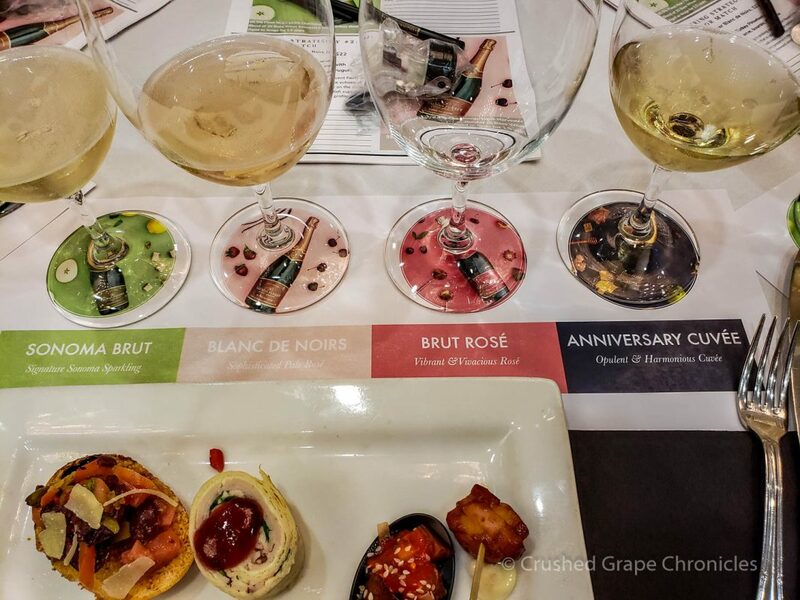 The colors, the aromas, the flavors on the palate, they all brought a range of depth. From the faintest color of straw in the Pinot Blanc from Emile Beyer, to the rich gold of the Pinot Gris from Dopff & Irion, on to the warm rich golden salmon tones of the Crémant d’Alsace from Zinck and into the vivid rich red of the Pinot Noir from Leon Beyer, the range of expression in these wines was beautiful. It was a trip through the seasons; spring with Pinot Blanc and the brightness that went so well with the spring vegetables in the frittata; summer with the warmer exotic flavors pairing with the vivid Pinot Gris, that brought in a little of humid lazy summer days with it’s brooding side; fall with the rich warm tones of the Crémant d’Alsace, which did really look like fall in the glass; and then the richer warmer red of the Pinot Noir for Winter, that still keeps things a little light, I picture snow sparkling in moonlight amidst the festive streets of Eguisheim. 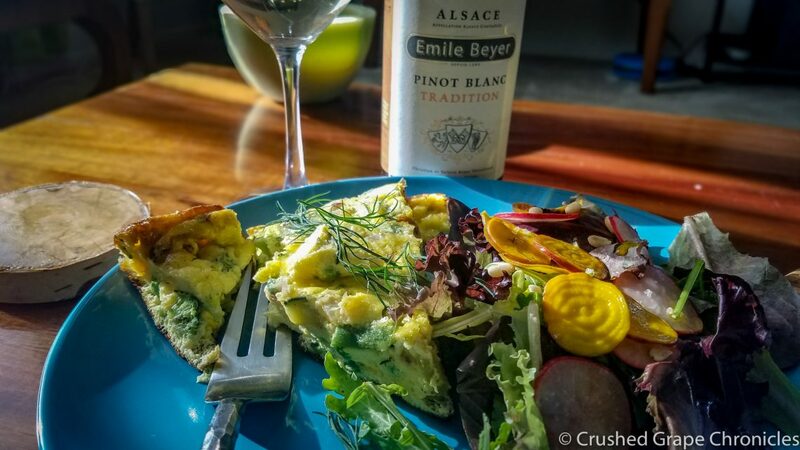 If you enjoyed this, and want to dig a little deeper into Alsace, please join our chat on Twitter We love visitors and happily chat and answer questions. 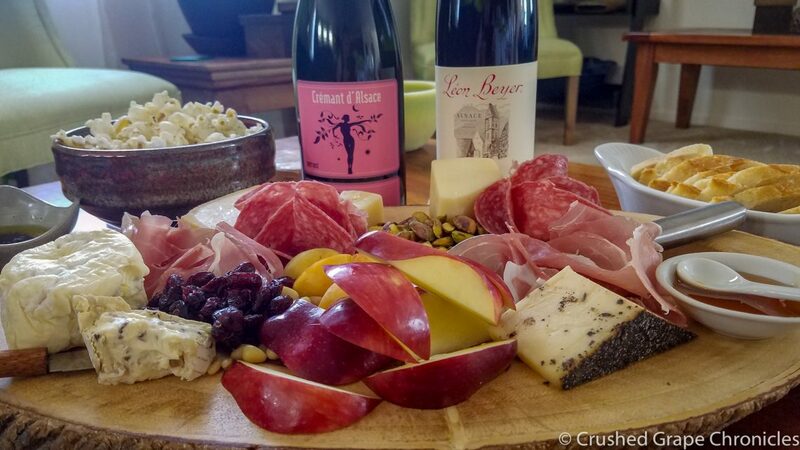 Simply tune in to the #winophiles hashtag on Twitter this Saturday, June 16 at 10am CDT. You can also check out the #AlsaceRocks hashtag for more Alsace fun during and after the chat. 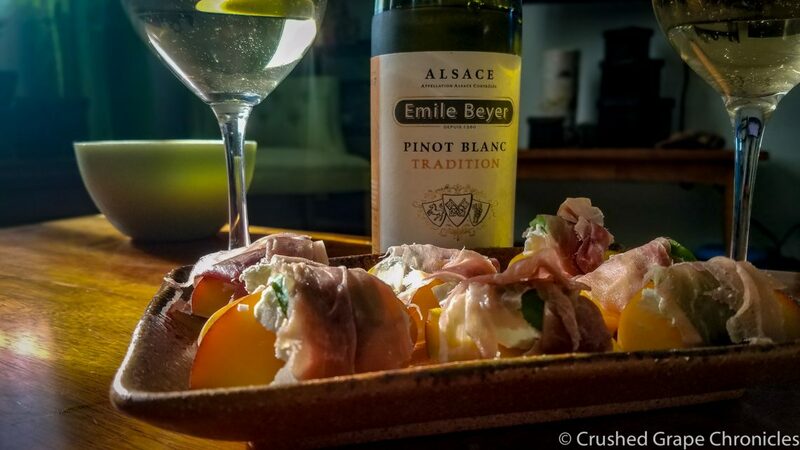 Okay, not literally… Later this month the #Winophiles are exploring Alsace as the region celebrates #AlsaceRocks. 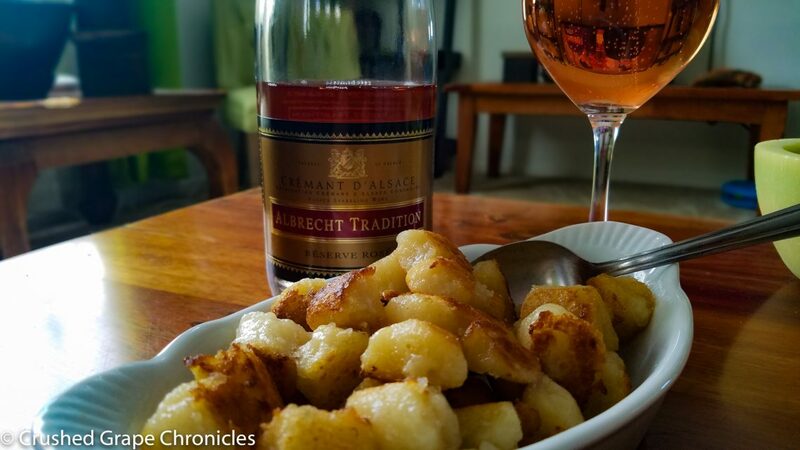 While we were waiting for the wines for our upcoming post to arrive, I picked up a crémant d’Alsace that was available locally to pair with a weekend dinner. This is just my quick prep work, on June 16th the French Winophiles will get together on Twitter to discuss wines from this region. I have a beautiful shipment of wines from Teuwen that we will taste through for the event. 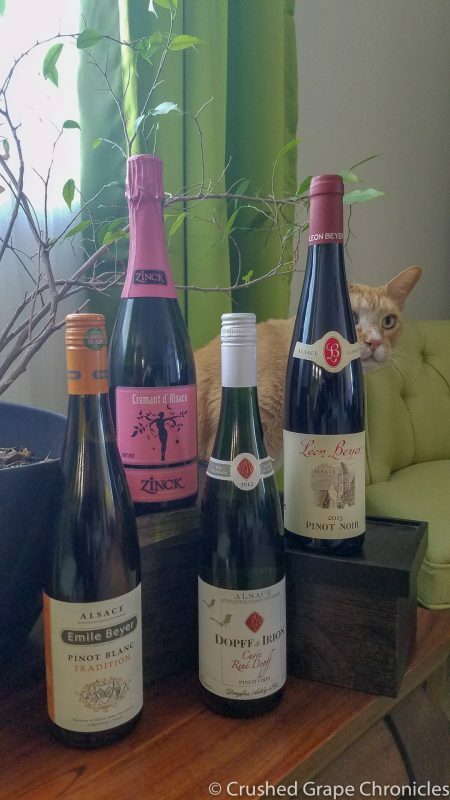 So watch for that coming up and join us on Twitter on the 16th where you can follow #Alsace Rocks, #Winophiles, or #DrinkAlsace to converse about these great wines at 11 am EST! We will have a post, and over a dozen other wine writers will have posts on wines and pairings from this region. Of the few crémants I found locally, I settled on an Albrecht Crémant Brut Rosé Tradition. I did a little research before heading out and this was one of the crémants that I was able to find some information about. I hate getting home, popping a bottle of wine and then not being able to find any information on the wine, winemaker or where the grapes were grown. So..we dive into the Albrecht Crémant. Real quick primer, in case you are unfamiliar with Crémant. Crémant is a sparkling wine made in the methode champenois/methode traditionelle, but from outside the Champagne region. You may only call a sparkling wine Champagne, if it comes from the Champagne region. So…sparkling wines, made in the same method from other areas of France are called crémants. This particular crémant is from the Alsace region in Northwest France. This brand has some history. Romanus Albrecht started this winery in 1425. Yes, I did say 1425, this winery has been creating great wines for almost 600 years. They began making crémant in the 1970’s and Lucien Albrecht and two others founded the regulated Crémant D’Alsace AOC which was approved in 1976. Sadly in 2013 the company filed for bankruptcy, but was bought by the local cooperative Wolfberger, whose oenologist and Director of the Wolfberger Head Winemakers oversees the winemaking here now. I love when I can get into the depth of where the grapes came from. First, this is from the Alsace region which is in North East France along the border to Germany. These grapes are estate grown in Orschwihr in the southern part of the Alsace Region known as the Haut-Rhin. The village dates back at least to 728 and sits hidden in a valley between Bergholtz and Soultzmatt. Originally known as Otalesvilare this village was controlled by the bishops of Strasbourg, Basel and Hapsburg in the 13th to 16th centuries. The two hills that flank the village are known as Pfingstberg and Bollenberg. Bollenberg has Celtic heritage. The name comes from the Celtic god of fire. It is thought to have been a Celtic place of worship. The climate on this hill leans toward Mediterranean due to the sunshine that has no hills or mountains nearby to block the light. Other vineyards include Grand Cru Spiegel and Grand Cru Ollwiller. I will admit, that I was unable to track down in which of these four vineyards this Pinot Noir was grown. But the place is beautiful. All crémant D’Alsace rosé must be 100% pinot noir, by law, and beyond that, it cannot be “crémant by mistake”. The vineyards that the winemakers are going to use for crémant rosé, must be determined by March of each year. The juice must be lightly pressed and only the first 100 liters of juice from each batch of 150 kg of grapes can be used. This wine is 100% pinot noir free run juice. Hand picked, whole clusters are lightly pressed with a pneumatic press and made in the methode traditionelle (like champagne). They age on the lee for 14-16 months after the secondary fermentation in the bottle. This wine sits at 12% alcohol, so you can easily share a bottle with a friend or spouse and not have it knock you over. At $24.99 was more expensive than the other crémant d’Alsace that I found, but I felt it was worth it. We did a quick pairing with things that we had on hand. This included a cheese platter with manchego and blue cheese, almonds, blackberries, apricots and an apricot compote. I found a winning combination with the blue cheese, blackberries and the apricot compote (which is just honey and apricots cooked down). 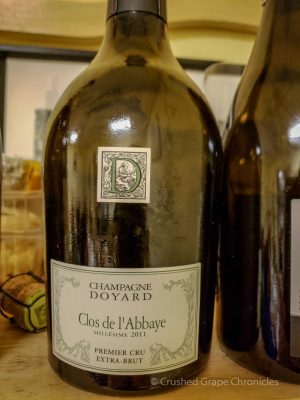 The flavor explosion in my mouth was really wonderful, and then the bubbles of the crémant cleaned my palate making the next bite just as exciting. We also did a flatbread with arugula and prosciutto and cauliflower gnocchi, that was browned in butter. The crémant was lovely with everything. It really is versatile for pairing. We will be back to delve even deeper into Alsace with the French #Winophiles on June 16th! So check back with us then for a new post on great wines from this region as we celebrate #AlsaceRocks. 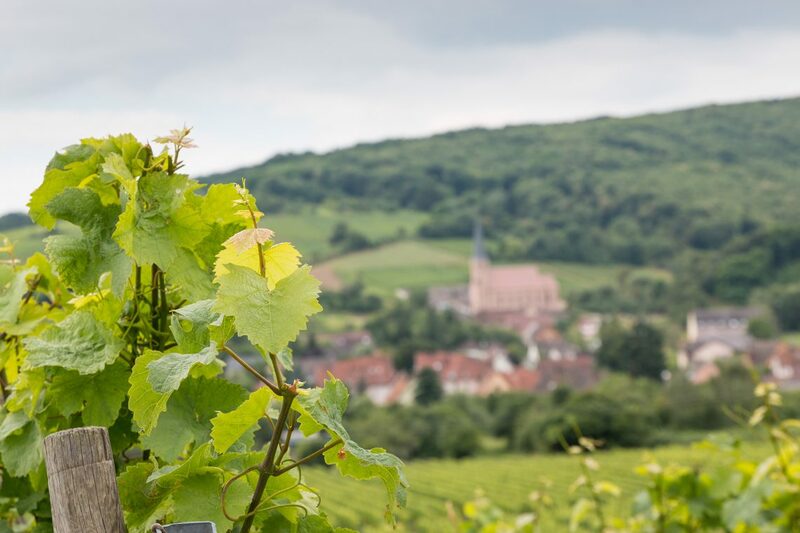 You can check out more information on Alsace at @DrinkAlsace and join us on Saturday June 16th at 8 am Pacific time or 11 am Eastern Standard time (for the rest of the time zones, forgive me, but you must do the math), for a twitchat! That morning take to twitter and you can follow us and join the conversation at #Winophiles or #DrinkAlsace or #Alsace Rocks! We look forward to seeing you there. When I was a child there were two types of wine as far as I was aware, Blue Nun and Cold Duck. 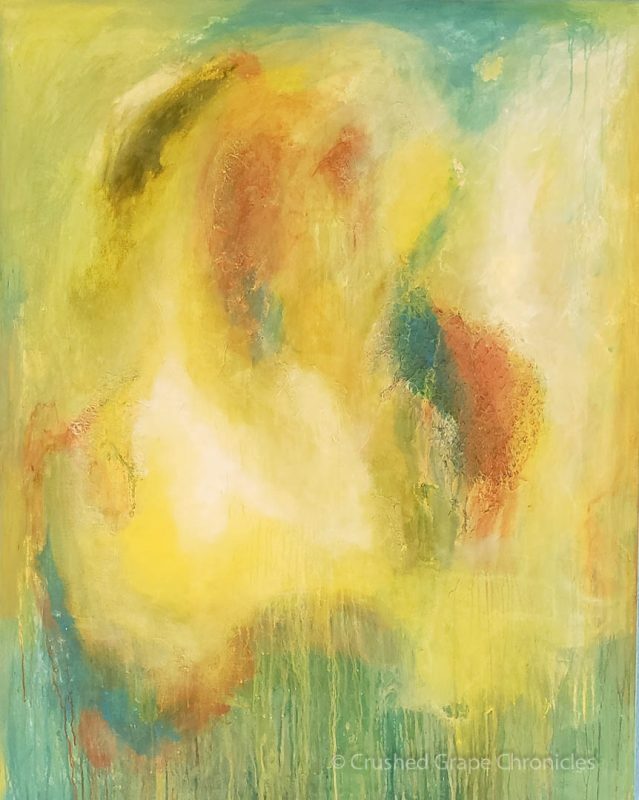 My childhood in the late 60’s into the early 70’s saw my parents hosting small parties or attending them and I remember the tall blue bottles of Blue Nun and the deep purple bubbles of the Cold Duck they poured. André still makes “Cold Duck”, and I suppose it is about as well thought of as Sutter Homes White Zin in this day and age. None the less, nostalgia brings me back to these fond memories. 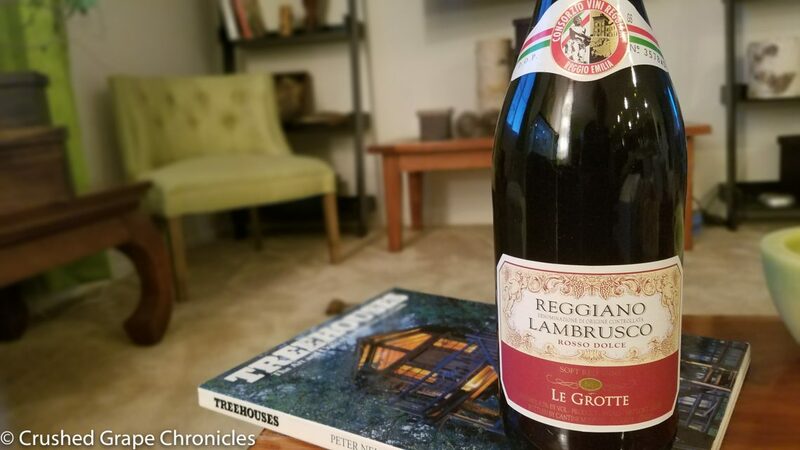 And hence, on a Throwback Thursday, I found myself in possession of a bottle of lambrusco, which made me think of those dark bubbles of Cold Duck, and I allowed nostalgia to take me away. There is a story about how the name “Cold Duck” came about. I won’t vouch for it’s validity, but in this nostalgic frame of mind, a tale of origin, true or not seems appropriate. German legend says that Prince Clemens Wenceslaus of Saxony ordered all the dregs of unfinished wine mixed and bottled with Champagne. This was call the cold end or “Kaltes Ende” based on the winemaking method and later it somehow was changed to “Kalte Ente” or Cold Duck. I was enchanted when I tasted Argyle’s “Black Brut” in their tasting room a few years ago. Far superior to the nameless varieties of red wine grapes in Cold Duck, this wine was 100% Pinot Noir that spends at least 3 years under tirage. I still find times when this wine comes to mind and I am magically transported back to childhood. Of course I am speaking of these wines as we speak of rosé, where everything that is pink is lumped together, when in fact rosés are extremely varied depending on the grape. So it is also with these dark bubblies, they are all dark and bubbly, but they can be made from all sorts of red grapes and can taste very different from each other. So…finally I move on to the lambrusco. Lambrusco is made from…lambrusco, a grape from the Emilia-Romagna region of Italy. In the wake of “Cold Duck”, lambrusco hit the market in the United States. It was made in a sweeter style and many looked at it as dark fizzy grape juice. Well, that was true enough. Lambrusco tailored itself to the current market, making inexpensive sweet fizzy wine, typically in the Charmant (or tank) method, because it was cheaper. Traditionally, lambrusco was a dry wine that had a slight effervescence from finishing it’s fermentation in bottle. Today you can find a wide variety of lambruscos that are affordable and tasty, from lightly colored wines from Lambrusco di Sorbara to deep inky wines made from Lambrusco Grasparossa or off dry wines made from Lambrusco Salamino. Finally you find Lambrusco de Modena and Lambrusco Reggiano. The wine we chose was from this last region. From the province of Reggio Emilia, which borders Modena you find Lambrusco Reggiano. Wines here can be made from a blend of the lambrusco varieties. The specific wine we had was Le Grotte Reggiano Lambrusco Rosso Dolce, which yes, means sweet red wine. So this wine really did take me back. I look forward to continuing my search for Lambruscos and tasting through the regions and styles, but for this night, this wine did the trick. And while I was giddy with nostalgia, I didn’t end up giddy on the wine. While it was delectably fizzy and wonderful in my mouth and not serious at all, it packs a mere 8.5% alcohol, so we could easily finish the bottle between us and still focus on “Lost in Space”! Back at Chinese New Year I was looking at wine pairings with Chinese food and came across a suggestion for pairing with lambrusco. Sadly…I was unable to locate a bottle at that time. But a month or so ago, I came across a bottle and picked it up. Tonight was the night. We would pick up Chinese from the place down the street and do our pairing. Popping the bottle was a little more exciting than with other sparkling wines or champagne, I felt a little giddy. Then watching the bubbles foam as the inky dark wine poured into the glass…I had an ear to ear grin pasted on my face. We had ordered orange chicken and sesame chicken to pair, again a little throwback, typically my chinese fare is more vegetable driven. The sweetness and fattiness of the dish was perfect with the lambrusco. To continue our throwback theme, we turned on Netflix and cued up the new “Lost in Space” remake. Nostalgic bliss ensued. “Danger Will Robinson!” This throwback pairing is not so great for your waistline, but it can be really good for your spirit. So Michael is working tonight and he doesn’t typically like sparkling wines, so…Tonight we dive into the Spanish Cava. 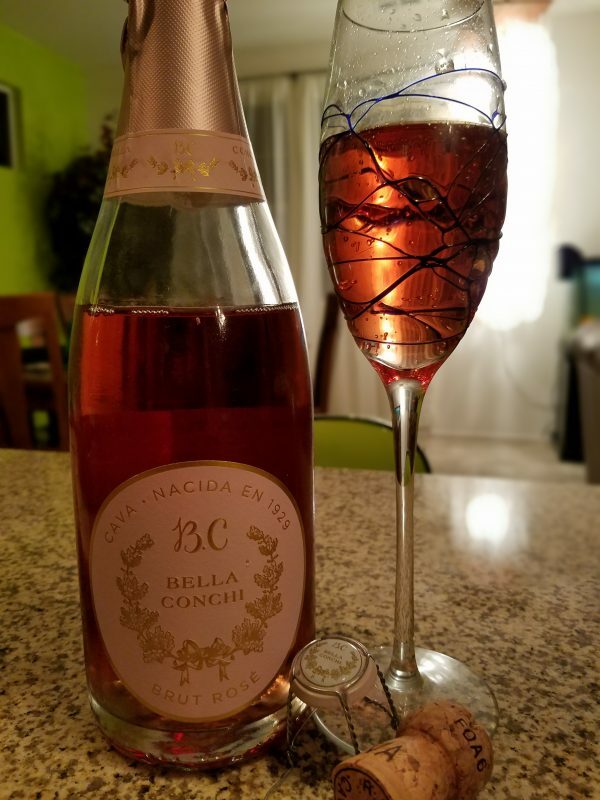 This Cava is a Bella Conchi Brut Rose. It is 70% Trepat and 30% Garnacha. Cava is predominately made in Catalonia in Spain and may be white or rose. (We went with the Rosé). And if it says “Cava” on the label, then it must be made in the traditional Champenoise method. The word “Cava” means cave or cellar, which were originally used for aging. This particular Cava is a blend of Trepat & Garnacha. On a side note: The name “Bella Conchi” is in honor of Javier Galarreta’s mother who loved Champagne and passed away before her son had produced this lovely Cava. If you are like me, you have not heard of this grape before. Although it has gone by many names: Trapat, Traput and Trepan are all easy variations, but it has also been known as Bonicaire, Parrel and Embolicaire. This is a red Spanish grape that is primarily used for rose. You will find it grown in Catalonia in the Conca de Barbera and Costers del Segre DO’s (Denominacion de Origen). This is the Northeast part of Spain (think the Barcelona area). The wines from this grapes are typically light to medium bodied. You will get strawberry, raspberry and rose petal on the nose. It tends to be very fresh and have bright acidity. While mostly used for Cava, there are also some high quality red wines made with Trepat. It likes sandy soil and as such you find it near growing near the coast. It buds early and is typically resistant to fungal diseases, but is susceptible to frost. Garnacha is Grenache, just grown in Spain where it originated. This grape is more often thought of as a Rhone, the G in GSM. This grape hails from the Aragon region of Northern Spain. From here it spead to Catalonia, Sardinia and Roussillon in Southern France. It is thin skinned and low in tannins and brings the fruit to a GSM blend. So as I mentioned, Michael wasn’t home, so this was all about me. I picked up the recommended cheeses, Mahon and Garrotxa from the cheese counter. I grabbed some Marcona Almonds too, as they are fried in oil and salty, which is always a good pairing with sparking wine. 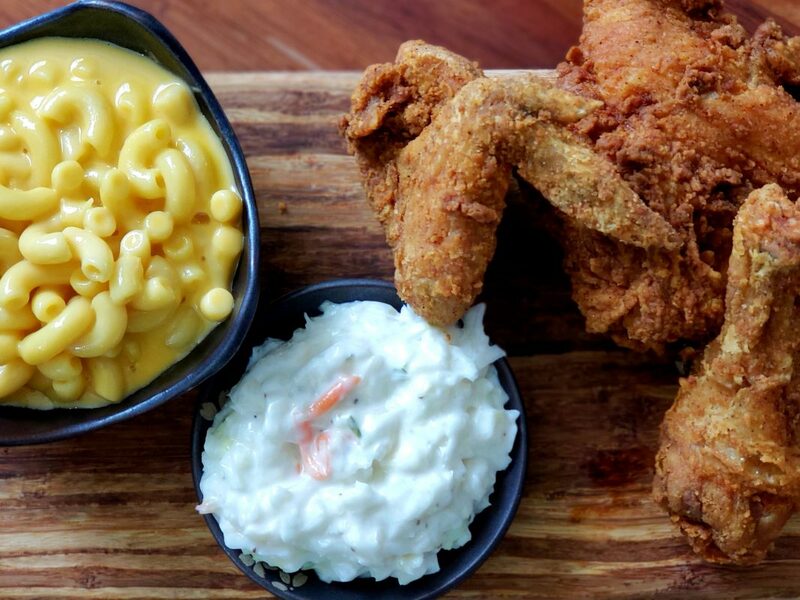 The guide suggested pairing with salads, grilled seafood, barbequed pork spareribs or spicy curly fries. I must admit, I wasn’t really hungry. I had just finished a great Yoga class and kinda just wanted to snack. So, I picked up strawberries (pink with pink), blackberries (with thoughts of dropping them in my glass), Salt & Pepper popcorn (another great sparkling pairing) and a small jar of caviar. I mean if you are going to do a pairing that gets you both ends of the budget spectrum to go with a sparkling wine. Really though, this was grocery store shelf stable caviar so not so fancy at just $5.99. So how did the Pairings go? I started with the Marcona Almonds which were fried in olive oil. (details on Marcona Almonds). This pairing was nice the rich oily, salty almonds and then a splash of the Cava to clean the palate. Same for the Salt & Pepper popcorn. 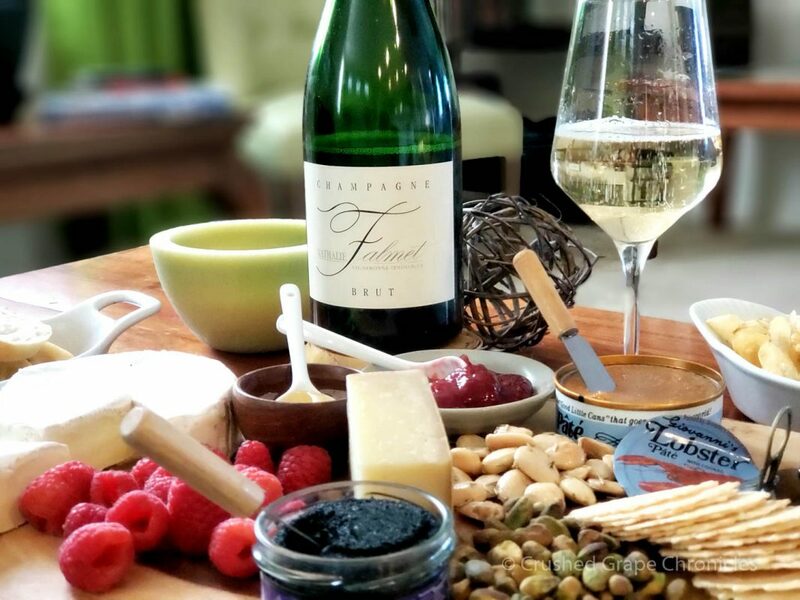 I had been turned onto the popcorn sparkling pairing back when we visited Laetitia, a winery in SLO Wine Country that produces sparkling wines. 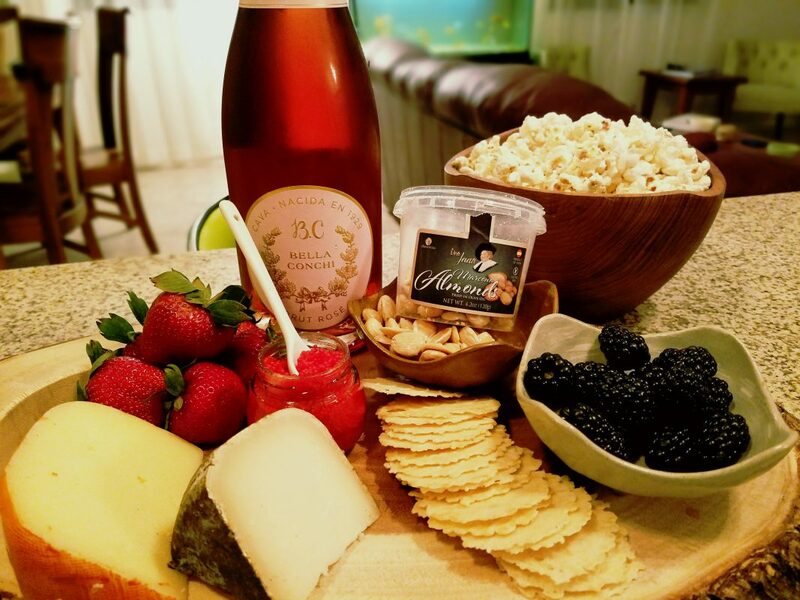 Their winemaker sites popcorn as his favorite pairing with sparkling wine. Potato chips are also a great go to with the oil and salt. The pepper on the popcorn was made a tad spicier with the Cava. After that spice I needed to cool my palate down a bit, so I dove into the black berries. They were lovely and sweet and picked up the fruit in the wine, as did the strawberries. The fact that this was relatively dry allowed the berries to taste even sweeter. The caviar I picked up was a Vodka Lumpfish caviar and was super salty. 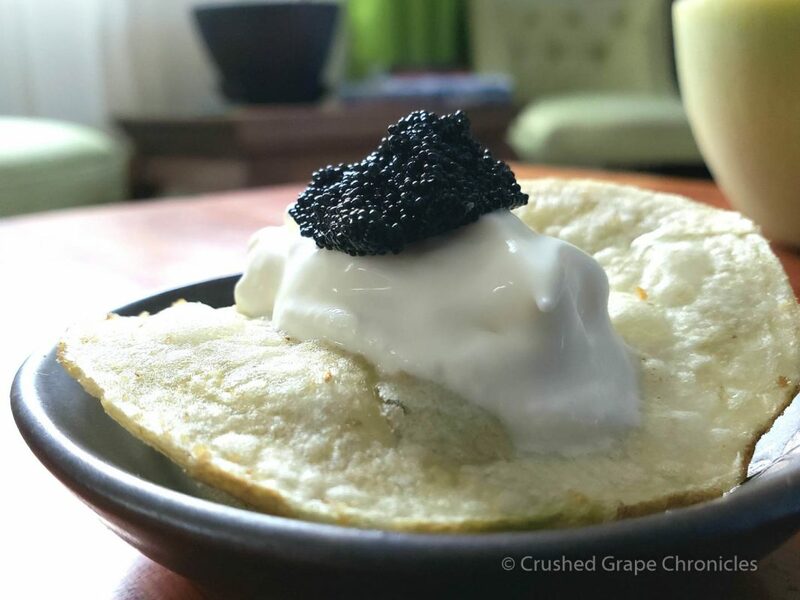 I did not pick up creme fraiche, so it was just a little caviar on a cracker. The popping caviar with the bubbles in the sparkling was lovely. I just finished it off with a berry to clean my palate of the residual salt. The brilliant thing about bubbles is that they clean your palate after every bite, so each bite is as fresh as the first. Now the cheeses. The guide recommended a Garraotxa and a Mahon. Two cheeses I was not familiar with. Time for some geeky cheese research. The guide classified it as a moist cakey semi-firm cheese. They said it “offers sweetness with a sharp white pepper flavor”. This cheese had a grey speckled rind that kinda looks like a river rock. You pronounce it ‘ga-ROCH-ah’. Imported from Catalonia it is a goat cheese that is crafted in the foothills of the Pyrenees. In 1981 some young cheese makers saved this cheese from going extinct. 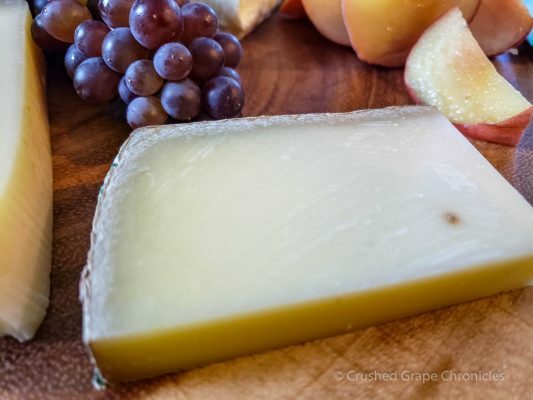 This is traditionally made with the milk of the Murciana goats and is cave aged to get the mold to grow making that river rock rind and adding flavor to the cheese. Theses cheeses mature quickly due to the humidity in the Pyrenees, taking between 4 to 8 weeks. Mahon is a cows milk cheese and picking it up with it’s orange rind and soft interior I was reminded of Muenster. This cheese is named for the port of Mahon on the Minorca island on the Mediterranean coast of Spain. I found this to be a fragrant with a slightly floral character that was really lovely. The cheese was soft and smooth and this was intriguing with the Brut Rose, the Rose bringing out these floral notes in your mouth. Surprisingly, Michael came home and finished the last glass I had left in the bottle. Unfortunately he missed out on the pairings. I do expect to pick up another bottle in the future, specifically to pair with some spicy curly fries! Stay tuned for our next pairing! So we find ourselves on the Vista Terrace at the beautiful Gloria Ferrer Caves & Vineyards. It’s a comfortable morning where the clouds have not yet burned off, so the view is soft and the vines look happy. And it’s time to get down to some tasting. 5 flights were available on the list including the Winery Exclusive Flight which included 3 sparkling wines that were exclusive to the winery (you can’t purchase them anywhere else), a 90 Point flight of their sparkling wines that have been rated at 90 points or about, the Glorious Flight which comes with a chocolate pairing, a Pinot Flight and a Ferrer Family Passport which includes 3 still red wines. There are other wines available by the glass. We chose the Winery Exclusive Flight. I mean why wouldn’t you? If we can taste the other wines elsewhere, this was the flight to go with. This flight included the 2009 Extra Brut, the 2013 Brut Rosé and the 2005 Carneros Cuvée. This is a blend that is 67% Pinot Noir and 33% Chardonnay. This is a “late disgorged” wine. This wine cellar aged for 7 years. The “late disgorging” enhances the bubbles. This vintage, 2009 started mild, with ideal summer temperatures so the fruit was able to ripen and develop deep flavors. With Green apple and brioche for your nose and then, citrus, honey and black cherry for your taste buds. 92% Pinot Noir and 8% Chardonnay. This wine has strawberry and brioche on the nose, Watermelon and peach on the palate with some ginger notes at the end. This is a festive wine that is a real crowd pleaser. 53% Pinot Noir and 47% Chardonnay. This is their flagship sparkling wine. The 2005 vintage started out cool and wet with a late bud break. The summer was sunny and dry and the temperature were mild going into harvest which meant more hang time between veraison and harvest. This is made from the premium estate fruit. It has 9 years en tirage, and 6 months on the cork. It was indeed our favorite wine of the tasting. What is en tirage you ask? this is the French term for how long the wine rests in the bottle on the lees (the dead yeast sediment) from the secondary fermentation. This allows the flavor of the autolyzed yeast to develop in the wine. This was my favorite from this tasting, with floral notes, apple, honey, ripe pear and a bit of mineral which keeps it clean even with it’s long finish. We were lucky to taste the newest Blanc de Blancs their 2014. It was a beautiful bright color and was crisp with green apples and pears and meyer lemon. It had some lovely yeasty brioche and a creamy mouthfeel. In Addition we tasted the 2008 Royal Cuvée and the 2015 José Ferrer Chardonnay ($40). The Royal Cuvée has a history. The inaugural vintage of the “Royal Cuvée” was in 1987 and was first served to King Juan Carlos I and Queen Sofia of Spain when they visited California. It is 67% Pinot Noir and 33% Chardonnay. These grapes are handpicked and brought to the winery in small bins and only the first press of gentle whole-cluster press is used. It ferments in stainless steel. It is blended after 6 months then bottled and aged sur-lie in the wine caves for 7 years. It is then disgorged and finished with a dry dosage and aged an additional 6 months before being released. This has peach, ripe apple and honey on the nose with black cherry and pear on the palate. It is bright and crisp with a hint of ginger at the end. The only still wine that we tasted, this 100% Estate Chardonnay, is whole cluster pressed very gently. It is barrel fermented and aged in French oak with 25% of that being new oak, for 9 months. They put a third of the wine through malolactic fermentation. The barrels were stirred monthly for 6 months to mix the lees and create the full mouthfeel of the wine. This wine had some tropical fruit and green apple, but what stood out to me was the spice. When I described the wine at the tasting, my first thought was “spicy”. This is not heat or pepper, but more baking spices. The wines were lovely. On our next visit I look forward to tasting the olive oil also. 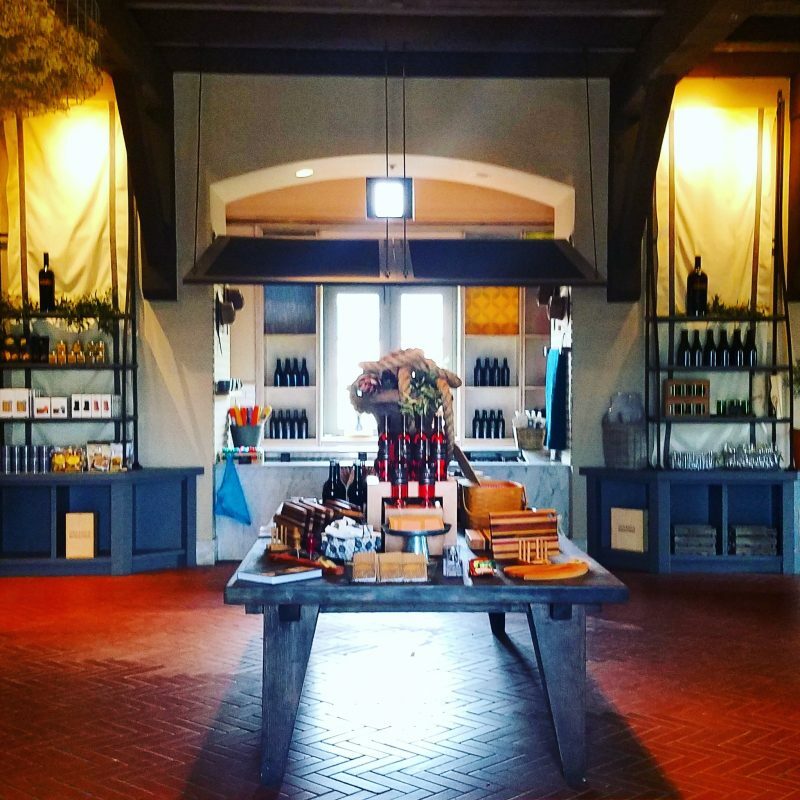 They have multiple tastings to choose from as well as experiences. I was tempted by a flight that had a chocolate pairing. They also have 3 guided tours daily that should be reserved in advance. 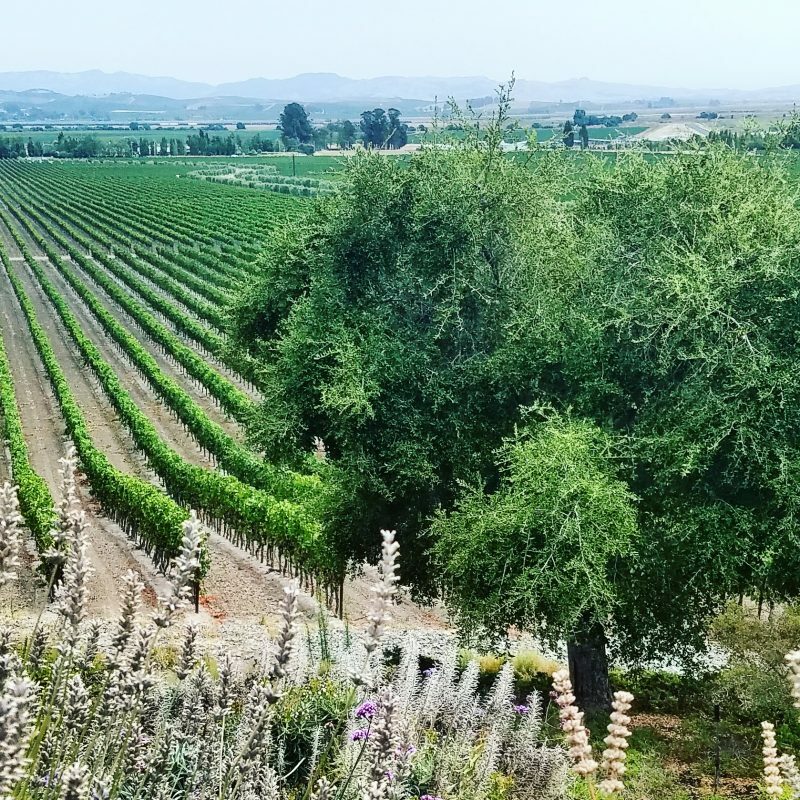 There are several other experiences: Pinot Journey, Bubbles and Bites, A Taste of Spain, Glassware Exploration, Gloria’s Wine Country Picnic and Reserve Tour that are available with advanced reservations. 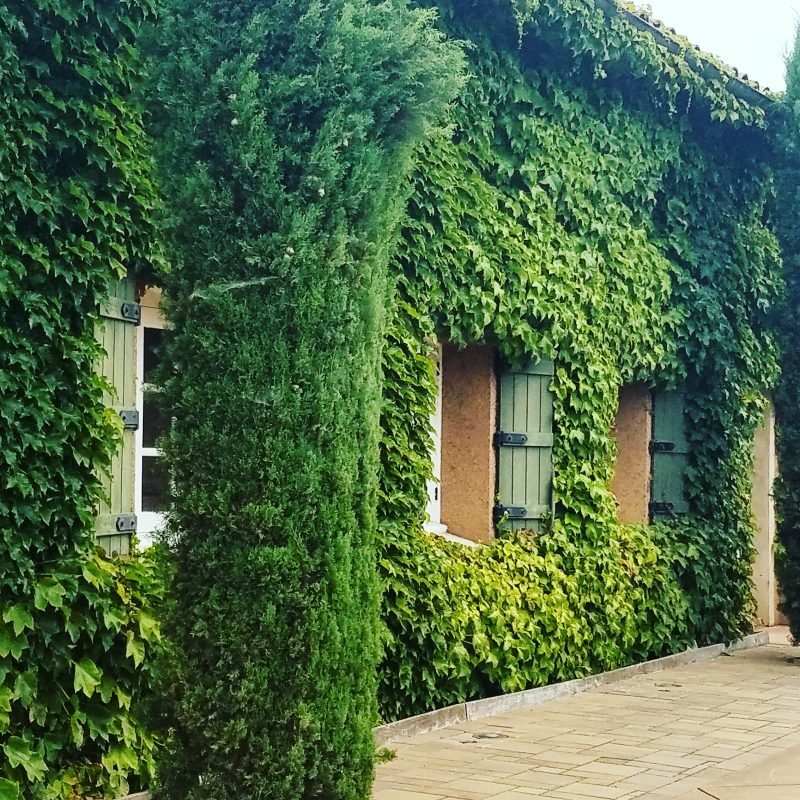 This beautiful winery is definitely the perfect way to start a day in Sonoma. If you missed our post on some of the history of Gloria Ferrer, you can find it here Gloria Ferrer – A little history. 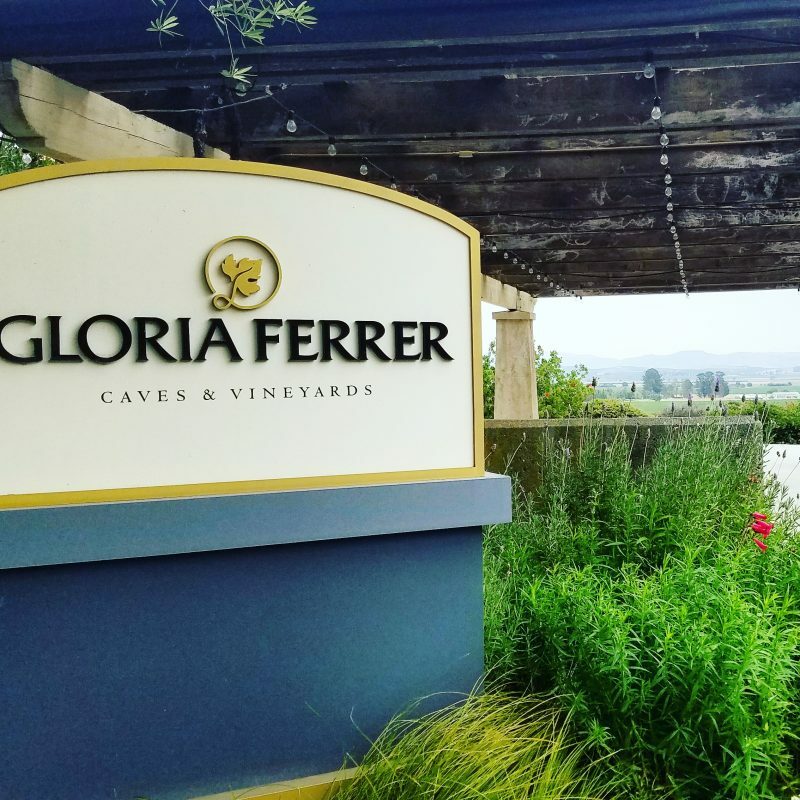 On our recent trip to the California Coast we had the opportunity to stop for a tasting at Gloria Ferrer Caves & Vineyard. 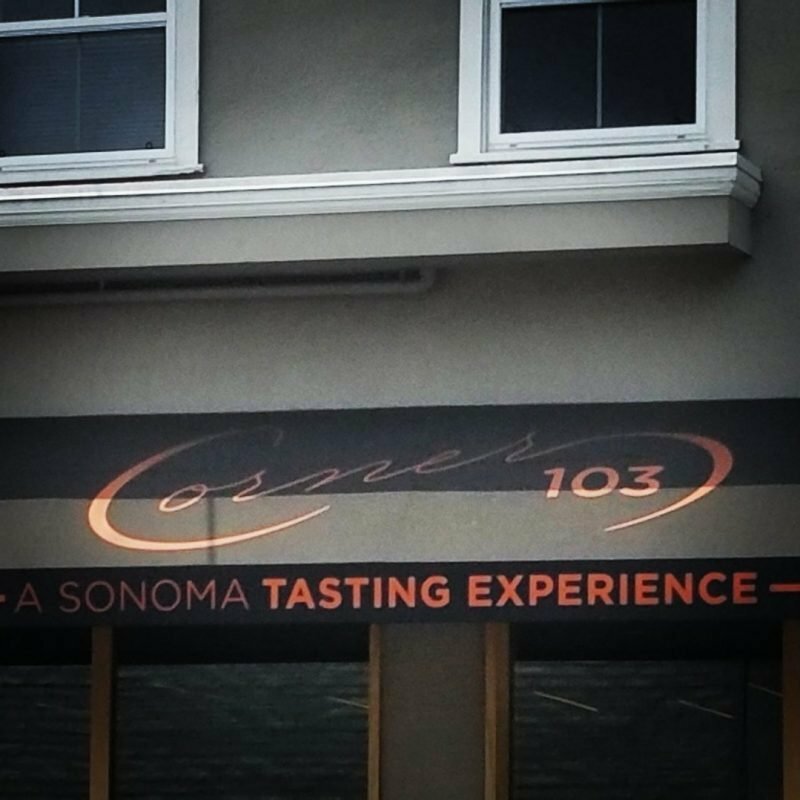 Located in Carneros, which is the Southern end of Sonoma County Wine Region, this is a sparkling wine house. The Ferrers have a little bit of wine history. 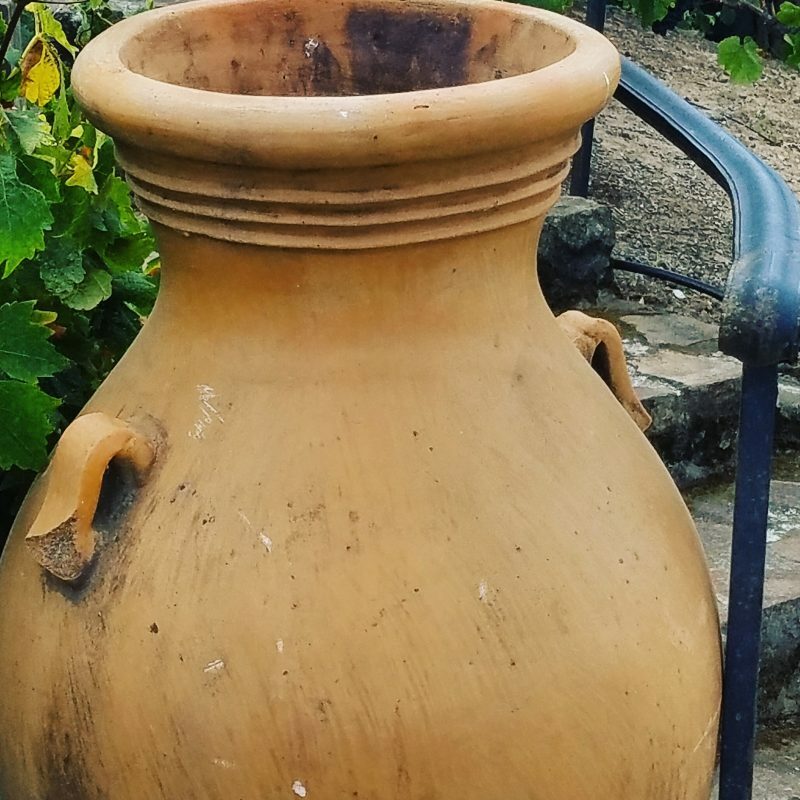 The family has been growing wine since the 1500s. They own La Freixendeda (which means “ash tree grove” in Catalan) outside of Barcelona Spain which is an 11th century farming estate. From the estate name comes “Freixenet” the famous Cava from Spain. Yep, they own that too. The story of Freixenet, goes like this: Pedro Ferrer marries Dolores Sala (from another winemaking family). Phylloxera hit Spain as they got married wiping out vineyards. The two replanted their vineyards with white wine varieties and decided to make sparkling wine. The first bottles of Freixenet (which was Pedro’s childhood nickname) were released in 1914. You are sure to have had one of those signature black bottles at some point. 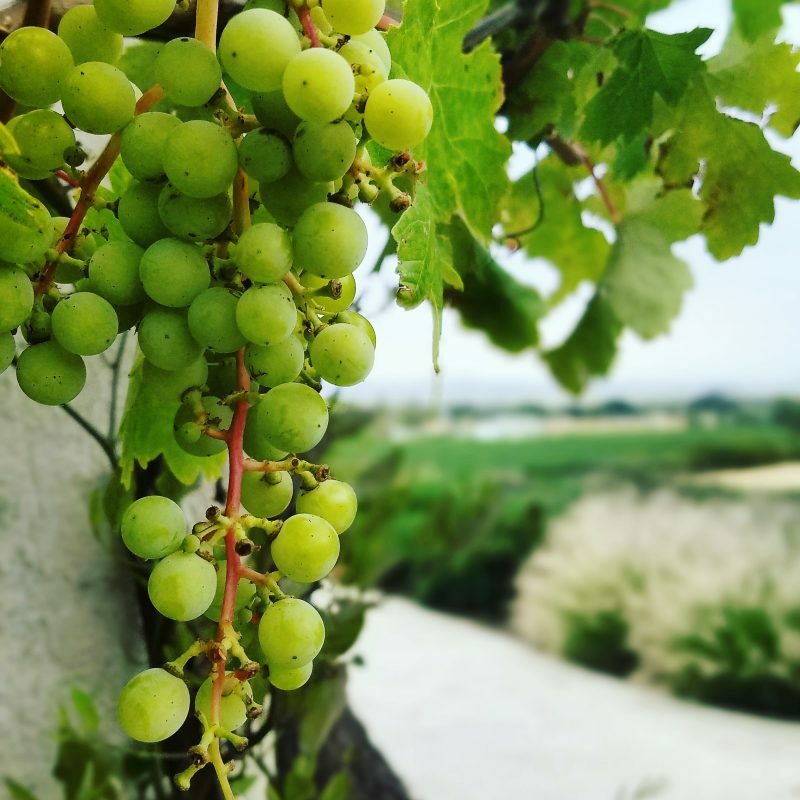 There have been lots of articles out recently about Cava and Prosecco, and the one thing that stands largest among the difference between the two (other than grapes and location) is the method in which they are made. Cava is made in the Traditional Method (like champagne) where the secondary fermentation is done in bottle. This produces much smaller and more persistent bubbles. Cava is made with 3 primary types of grapes Macabeo, Xarello and Parellada. José and Gloria Ferrer came to California in the 70’s on a road trip. They fell in love with Sonoma and wanted to come and build a winery here. The Ferrer Team knew that they wanted to make méthode champenoise wine in New World terroir and that to do that they would need Pinot Noir. They acquired Pinot and Chardonnay clones from Champagne and brought them to plant in Carneros. 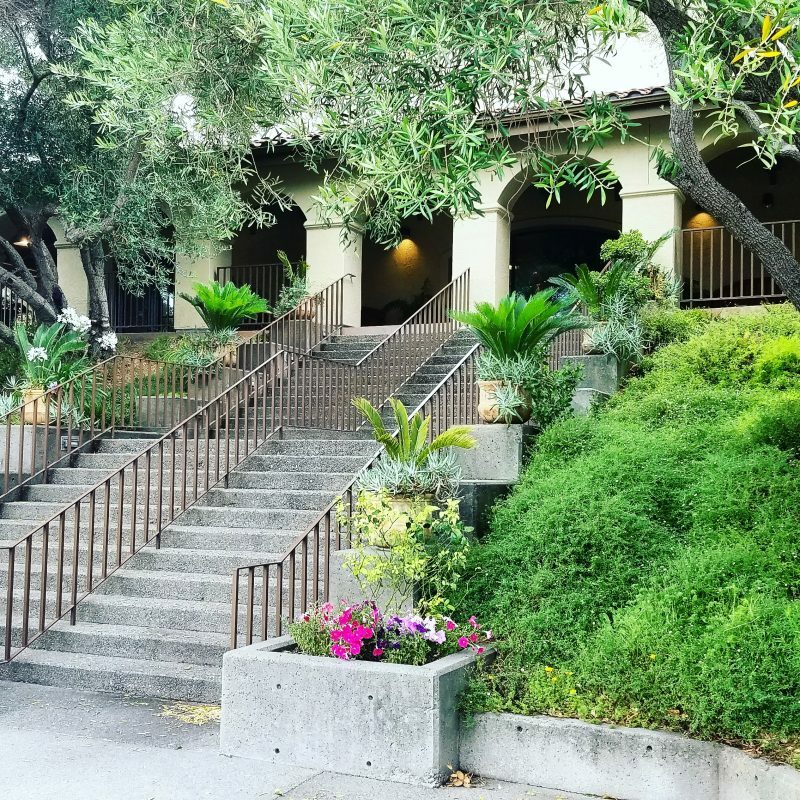 They purchased 100 acres from three cattle ranches in Sonoma to plant the original vines in 1982 and in 1986 they opened the beautiful winery with the Vista Terrace for visitors to enjoy the wine and the view. They now farm 335 acres of Vineyards, still primarily Pinot Noir and Chardonnay. The vines at Gloria Ferrer are hand farmed and many of the original crew that planted the grapes 30 years ago are still a part of the process. The Winery which opened in 1986 was designed like a Catalan Farmhouse originally, with wooden beams and old world charm. The caves were the first built in the area. The president of the Catalan Government actually came to cut the ribbon at the opening ceremony. 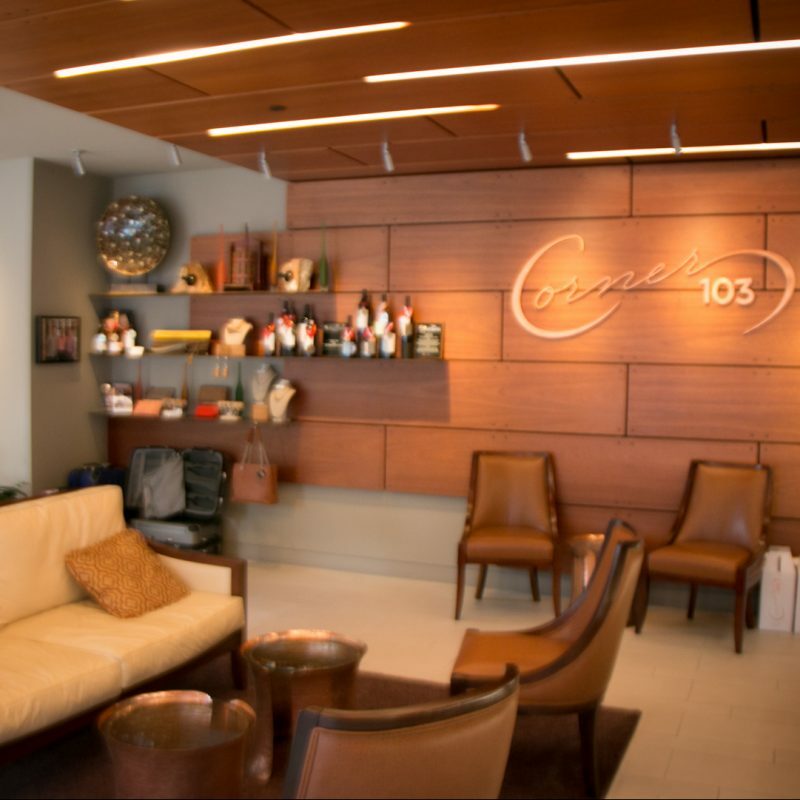 When they decided to update the tasting room they worked with a Catalan interior designer, Isa Rodriguez (he also designed the Freixenet’s building in Spain). 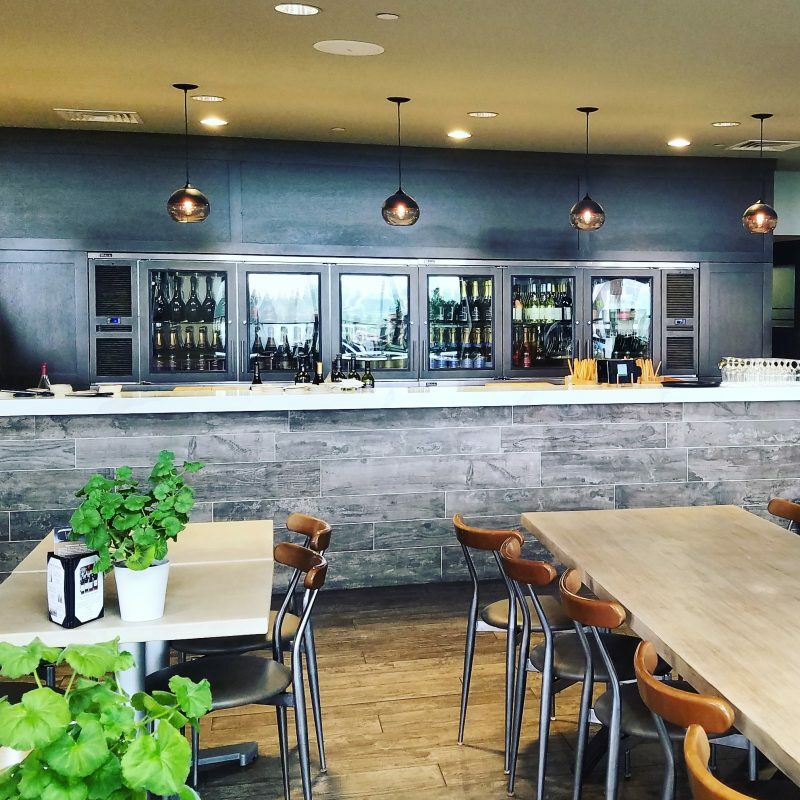 The modern tasting room still includes the wooden beams, but in a much more modern aesthetic. So while modern tasting room is stunning, the view will draw you out to the Vista Terrace. This is a civilized tasting, you don’t stand at a bar, you are escorted to a table where you can enjoy glasses or flights. They have expanded the Vista Terrace to have an area reserved for Wine Club Members as well as lots of additional room for other guests. 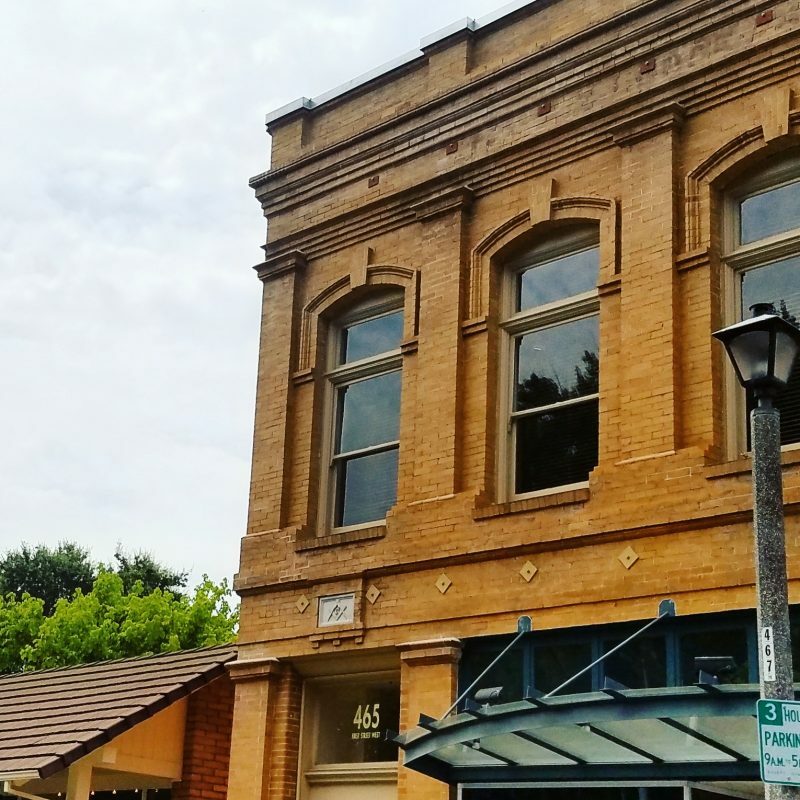 We continue our 6 day journey through Central Coast Wine Country and a little beyond with Day 2, which is the beyond part. After driving from Vegas to Santa Barbara and making our way up the coast through San Luis Obispo and Paso Robles, we ended Day 1 in Monterey. Our 2nd day takes us to Sonoma. 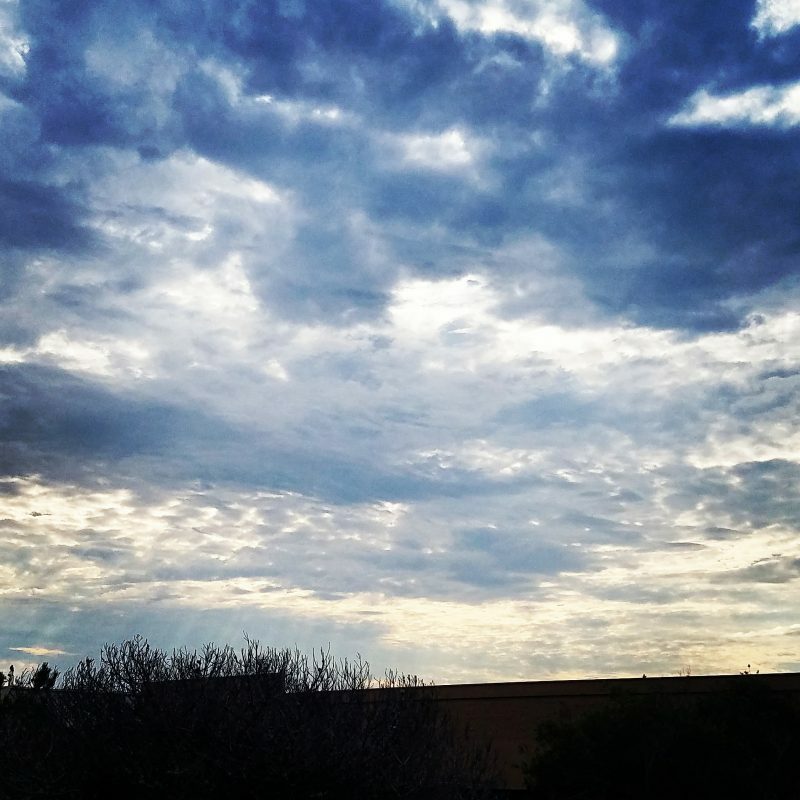 The sky was lit up beautifully behind the clouds as we headed out from Marina California, just south of Monterey in the morning. We hit the road to make the drive to Sonoma. 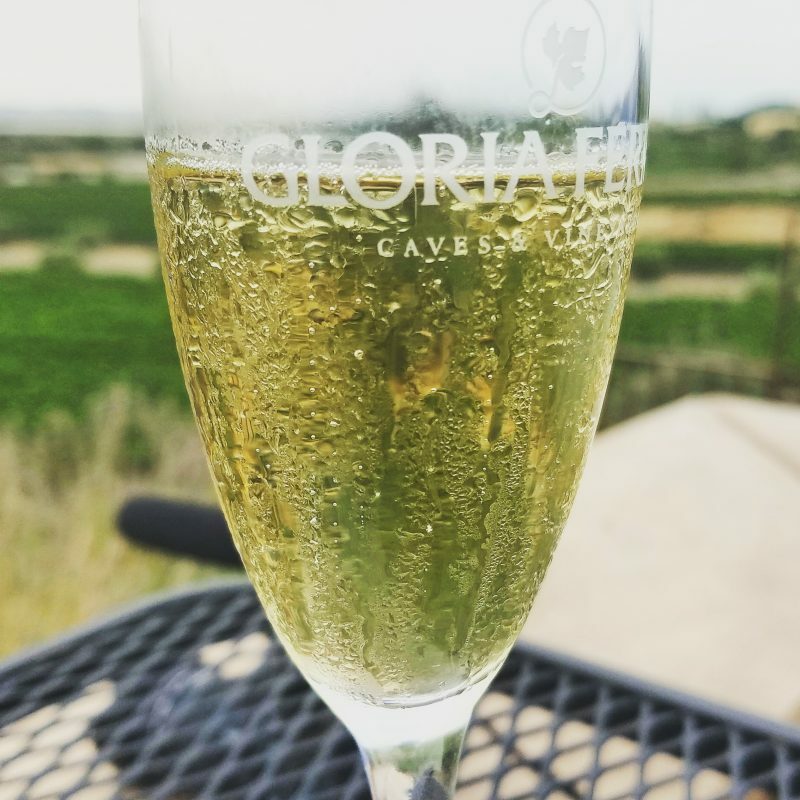 We started the day with some bubbly at Gloria Ferrer in Carneros. The wine, the view, the gardens and the service all started the day off beautifully. We will do a detailed post on our tasting later…for now, just soak in some of the beautiful scenery and bubbles. This is the southern end of Sonoma and we made one more stop in the area at Viansa. The grounds here are beautiful and the views phenomenal. 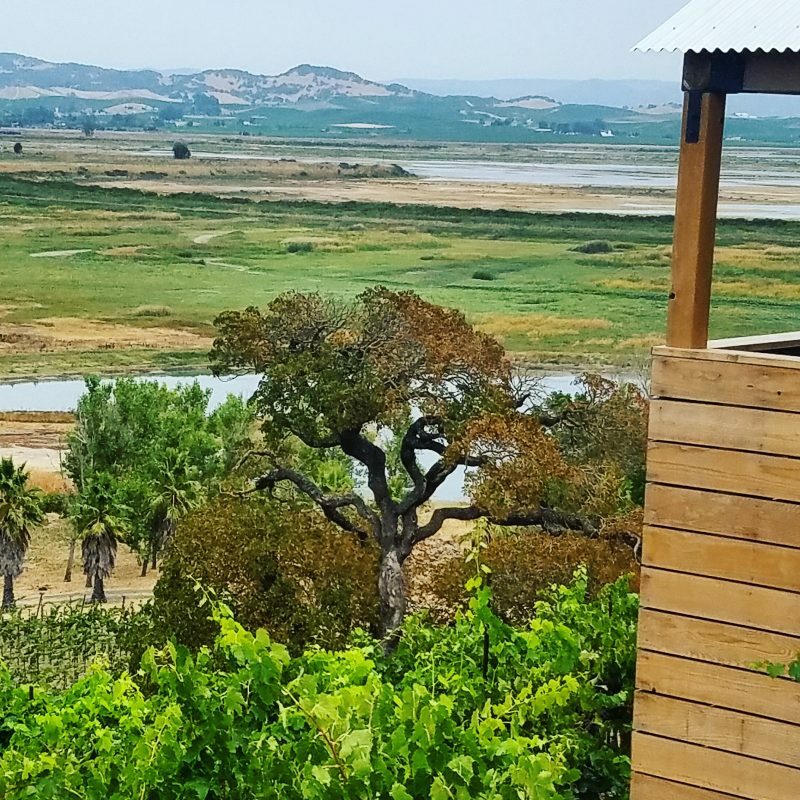 They are committed here to preserving the wetlands habitat that surrounds the vineyards. After soaking up the views, it was time to head into the city of Sonoma. 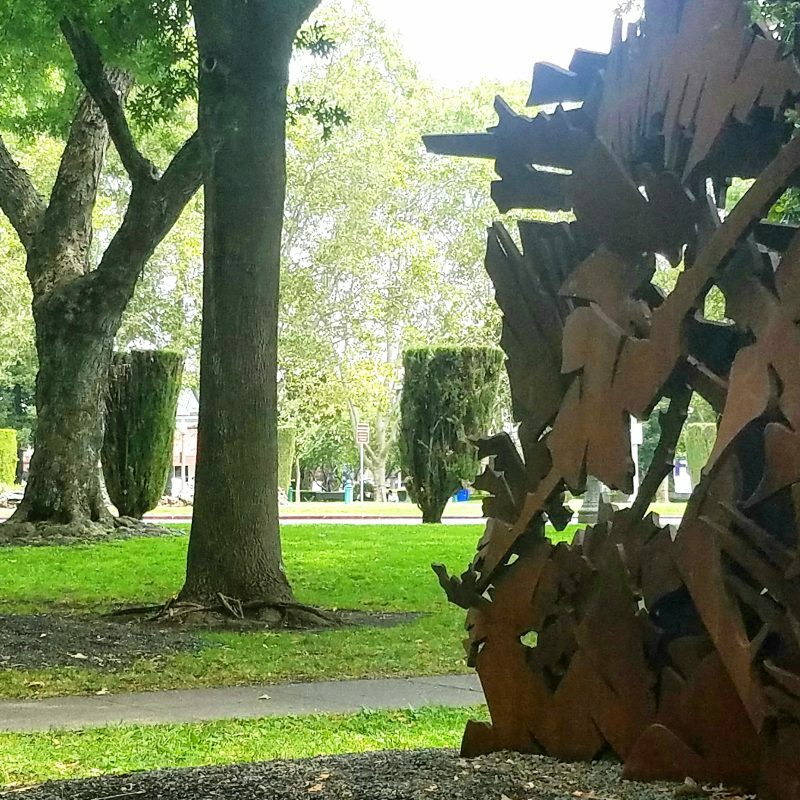 We had time for a visit to the Sonoma Plaza to relax and watch the ducks and take in some of the art. 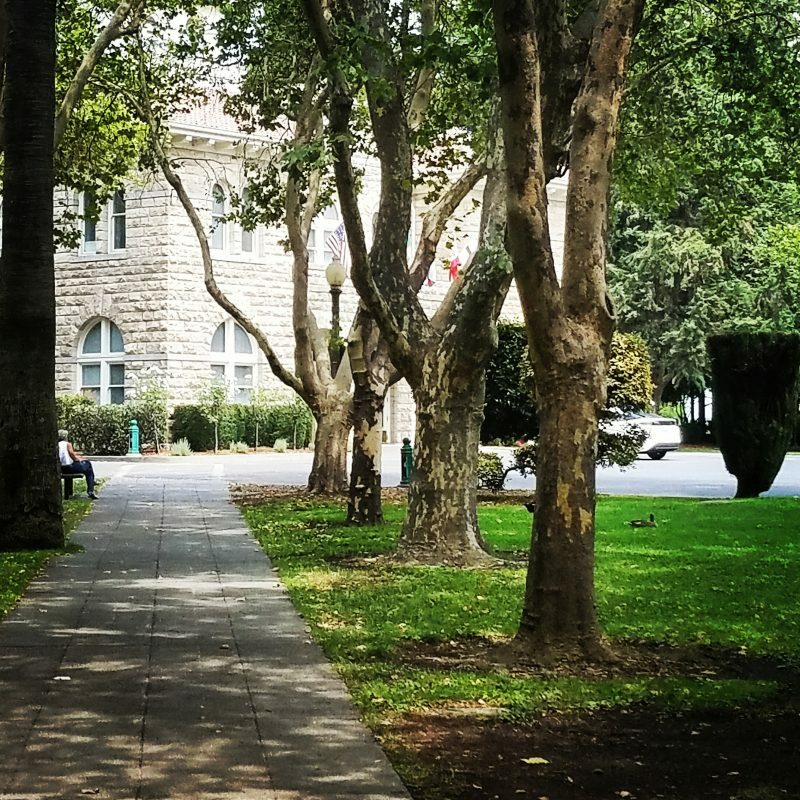 At the center of the plaza is the City Hall built in the early 20th century. It was built with all 4 sides identical, so as not to offend any of the merchants and businesses on the surrounding square. 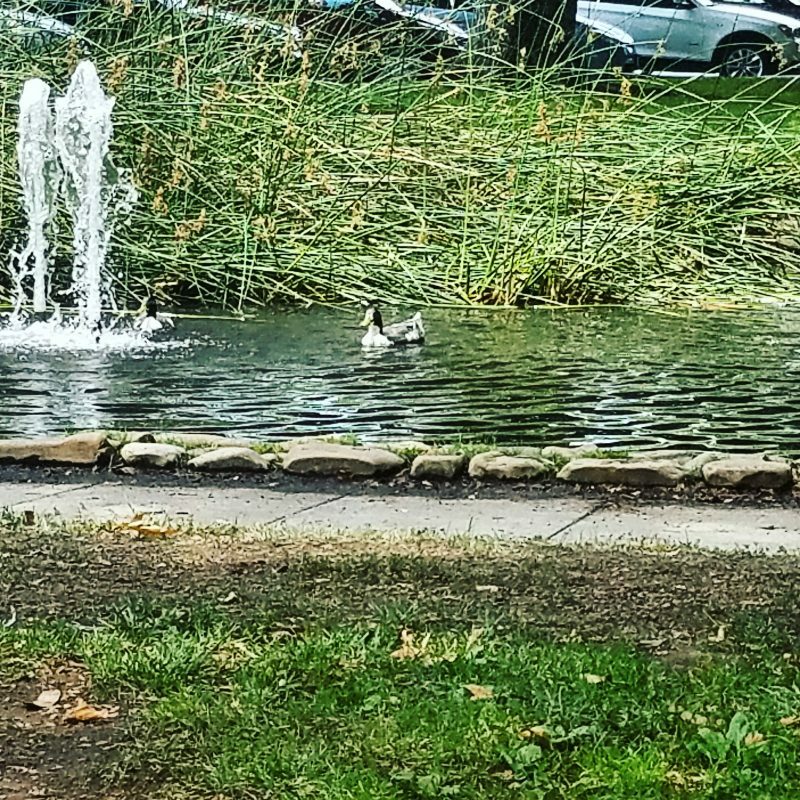 It has a beautiful duck pond on the corner where I rested soaked in the calm and enjoyed some of the wonderful large art pieces. 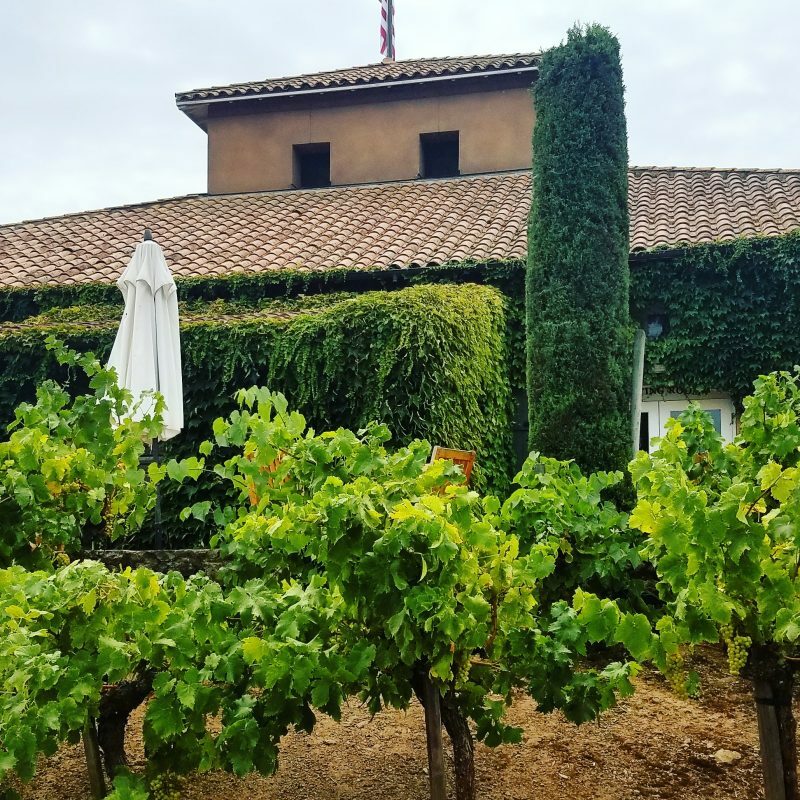 Day 3 has us exploring Napa, more of Sonoma and taking a trip out to the Livermore Valley! Come back for more of the trip!